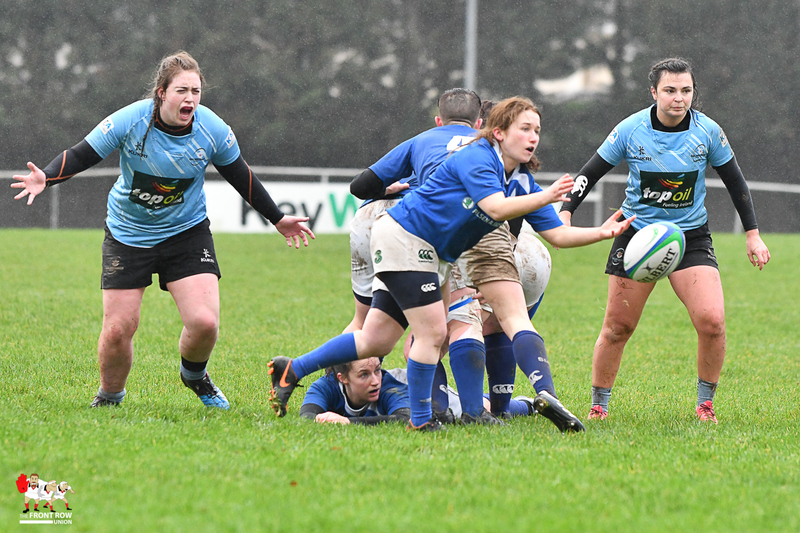 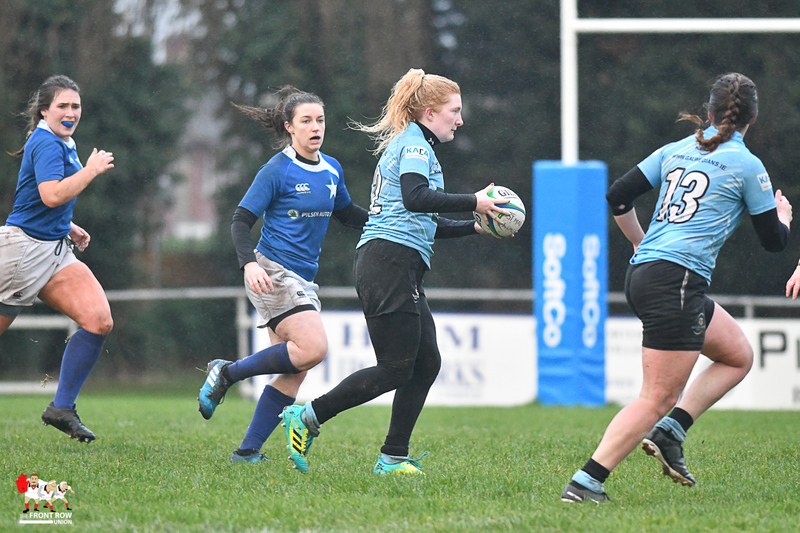 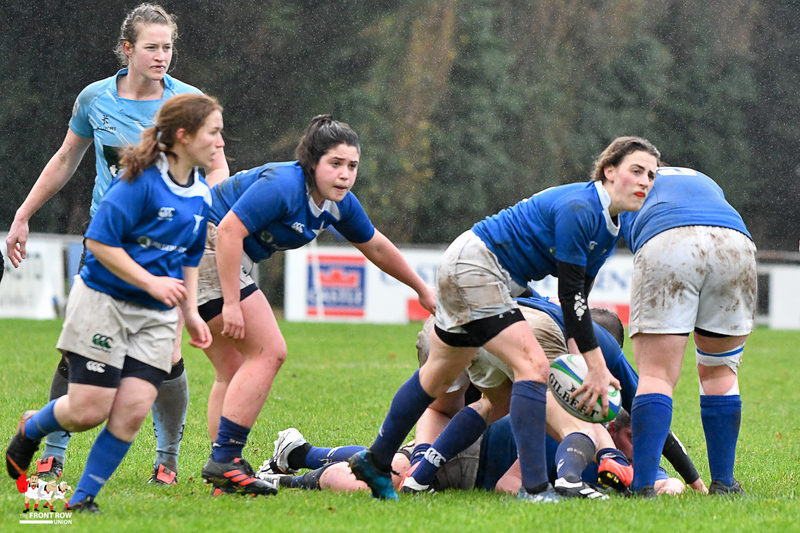 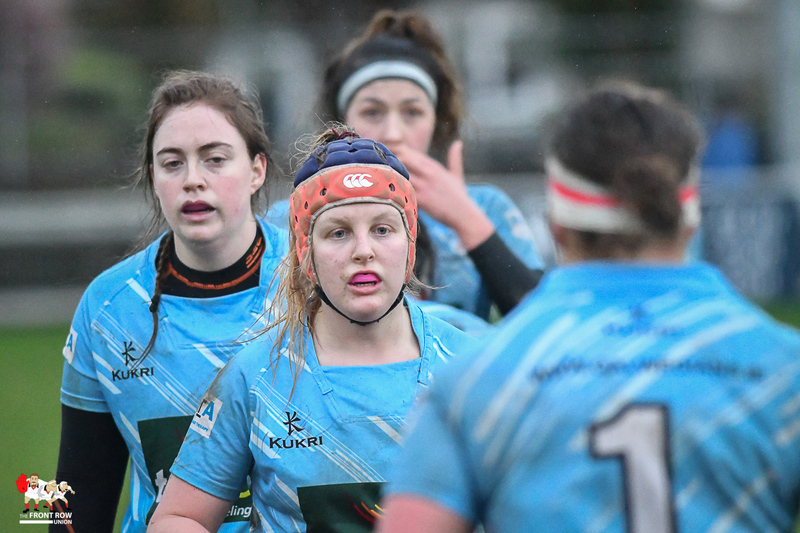 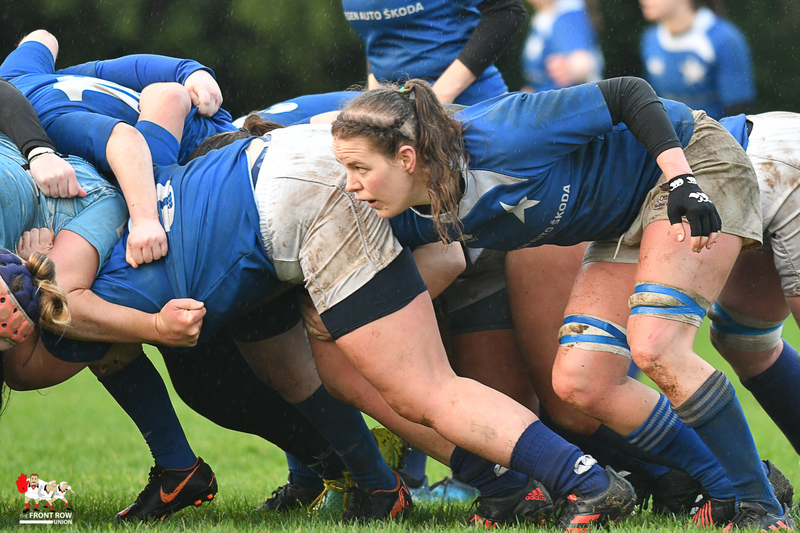 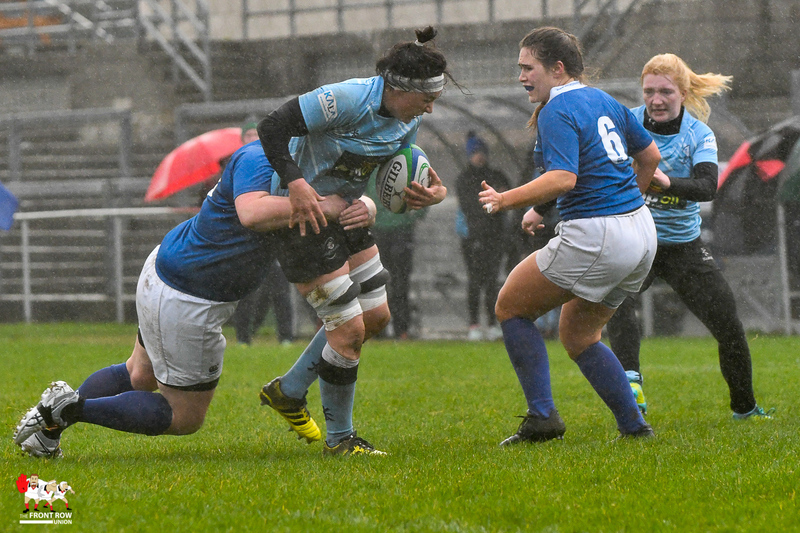 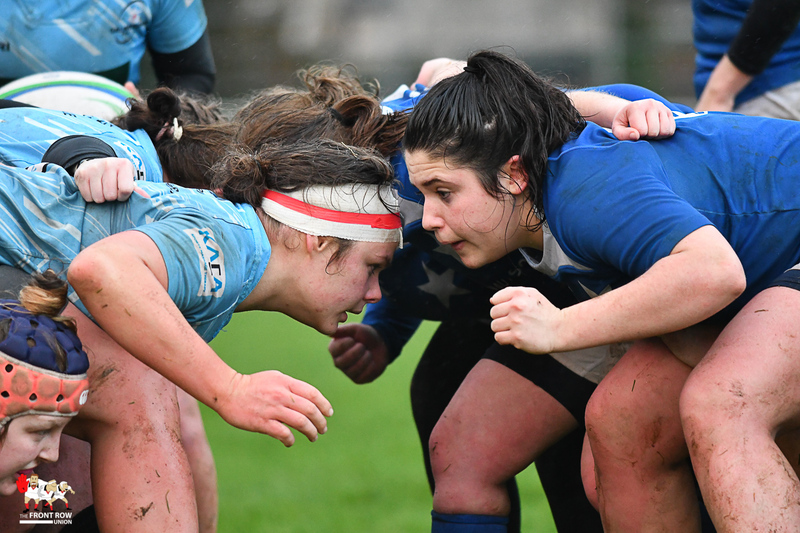 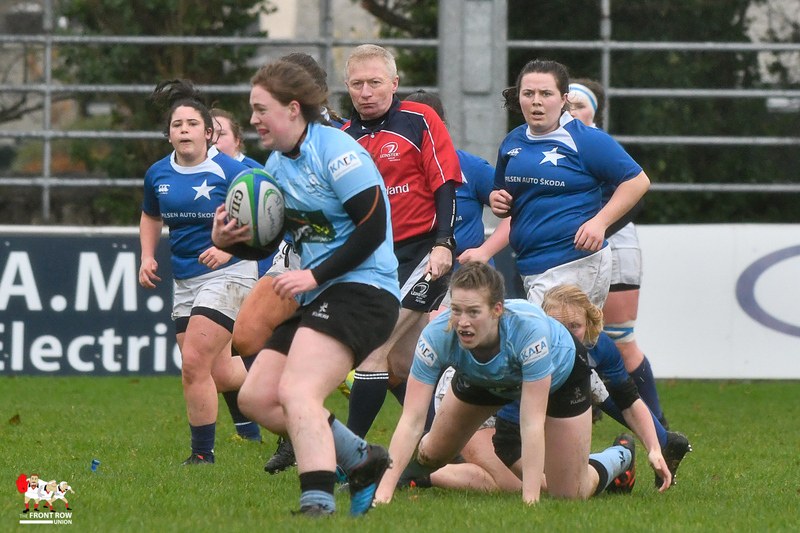 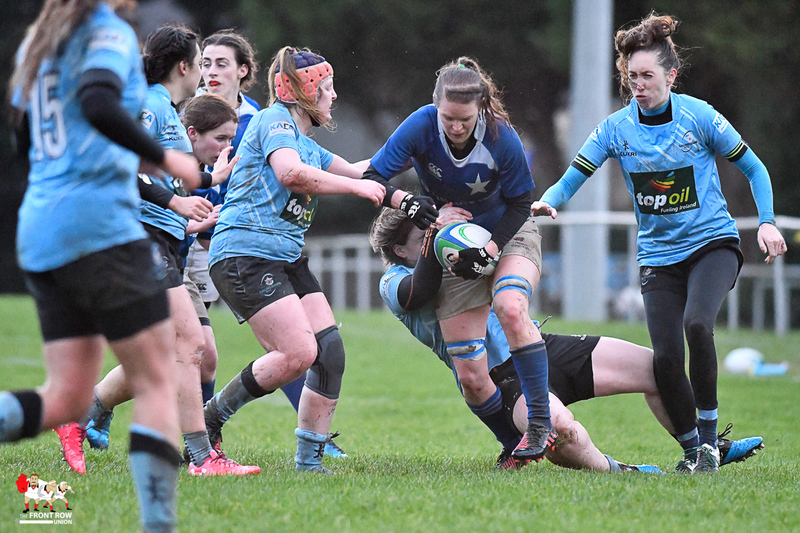 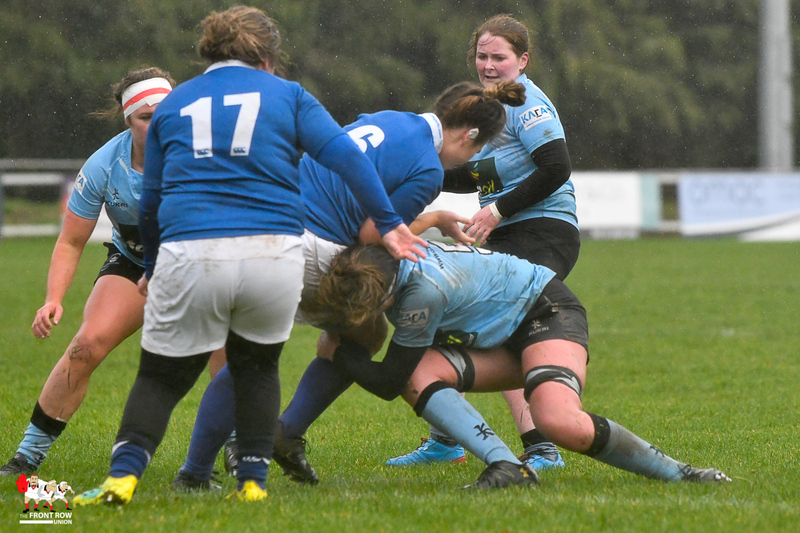 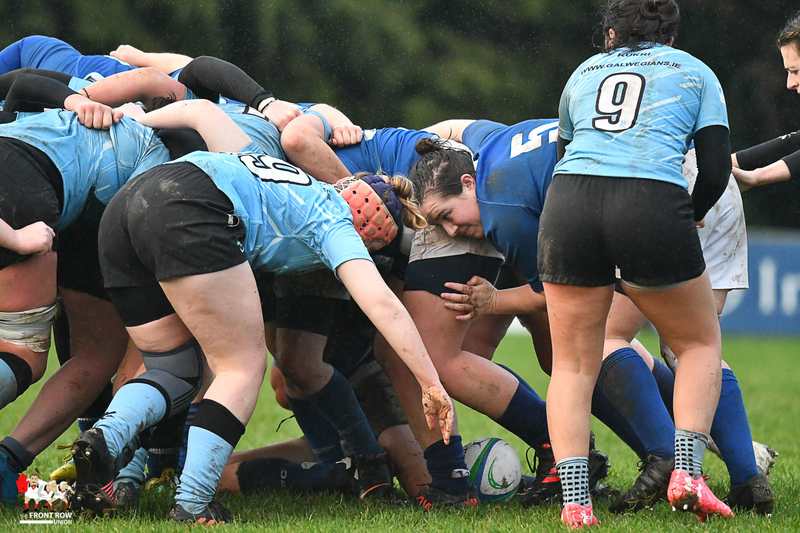 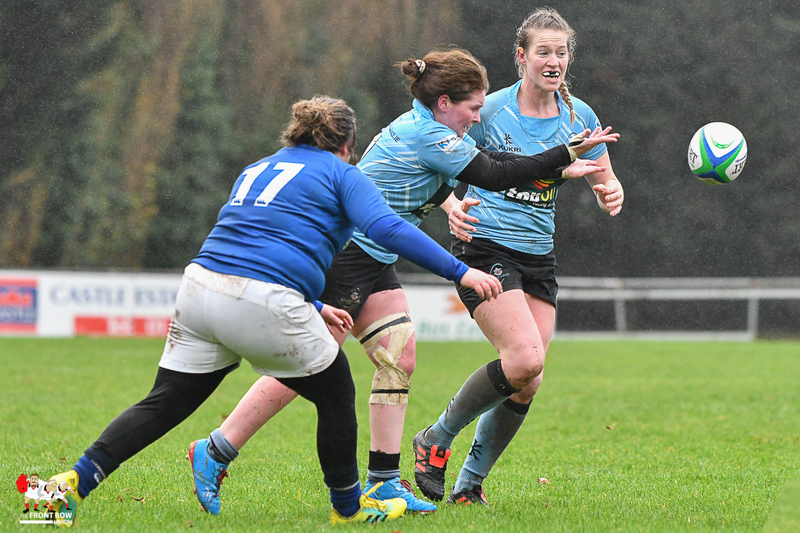 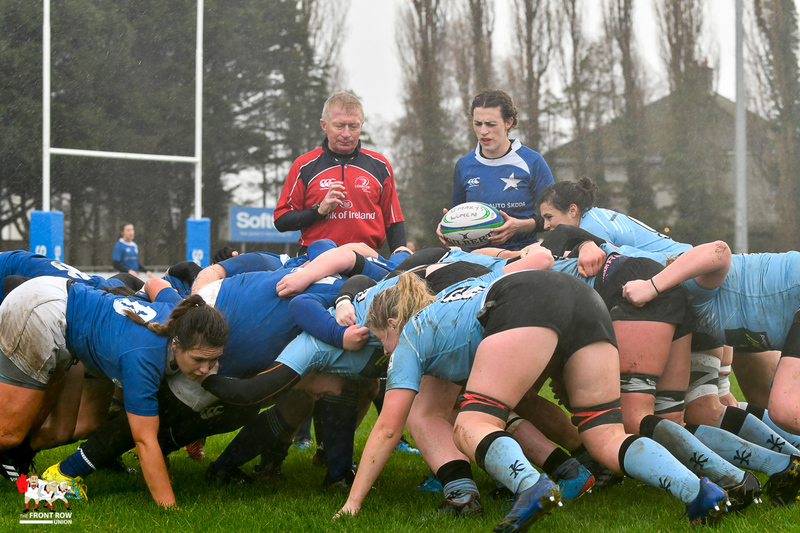 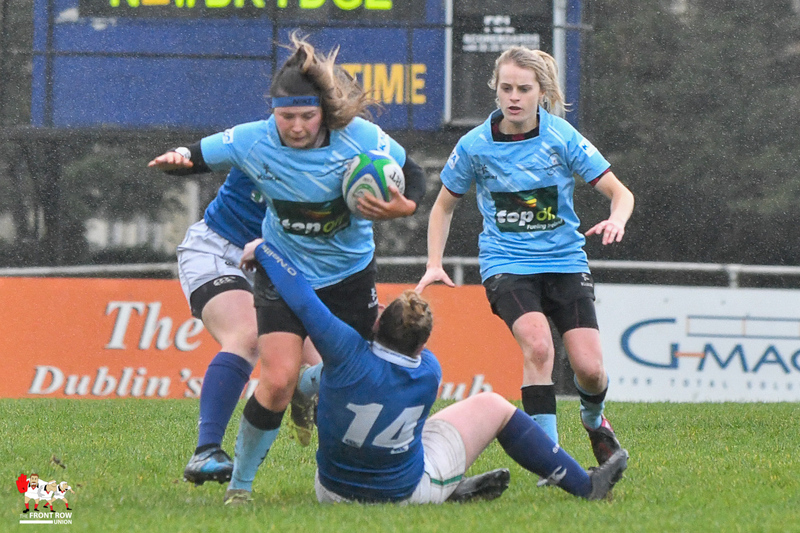 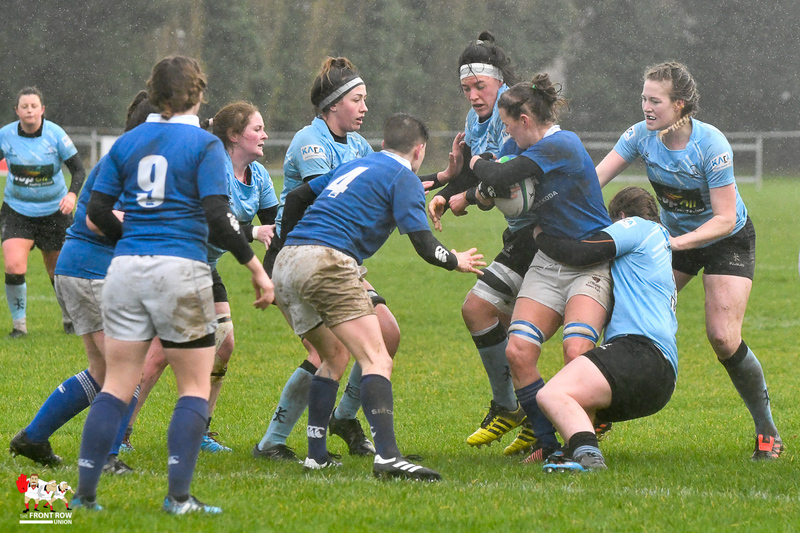 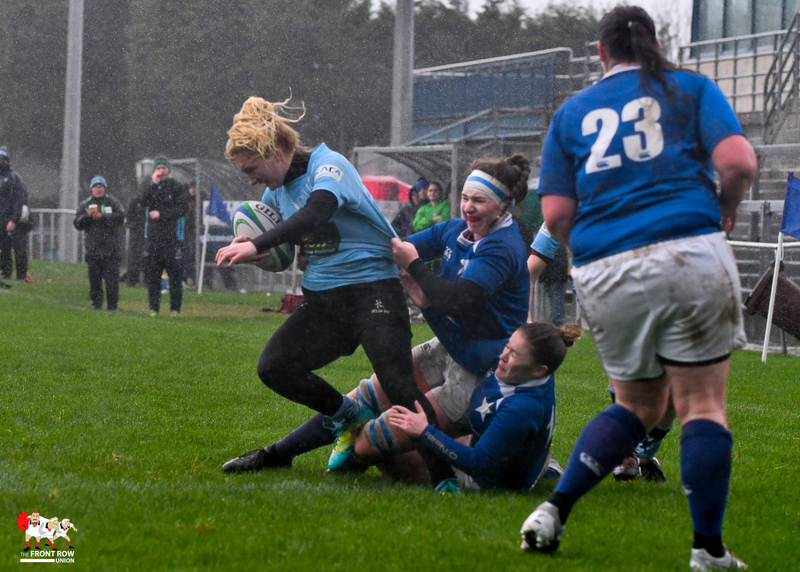 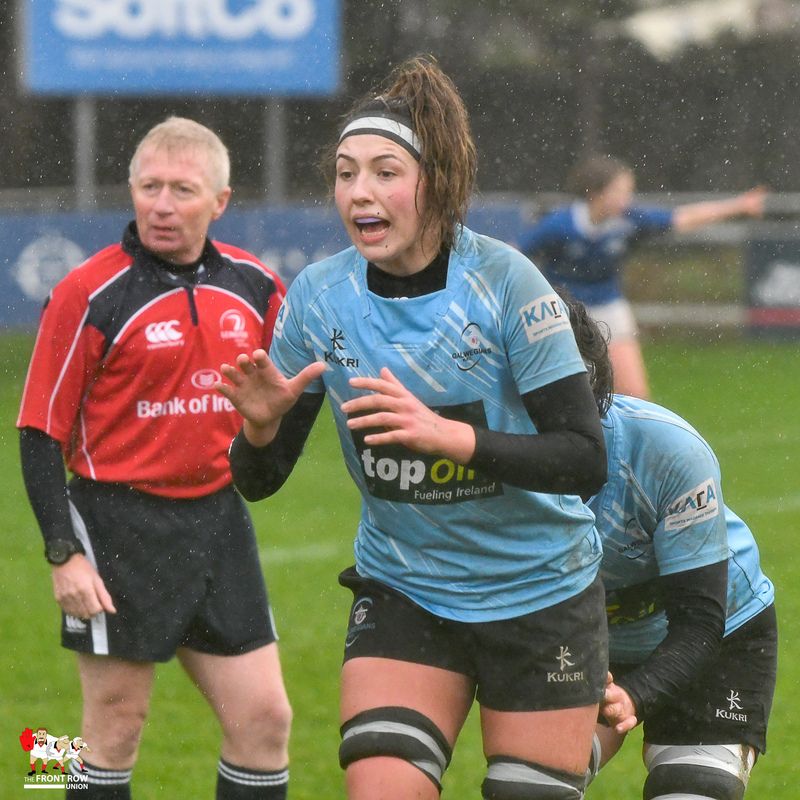 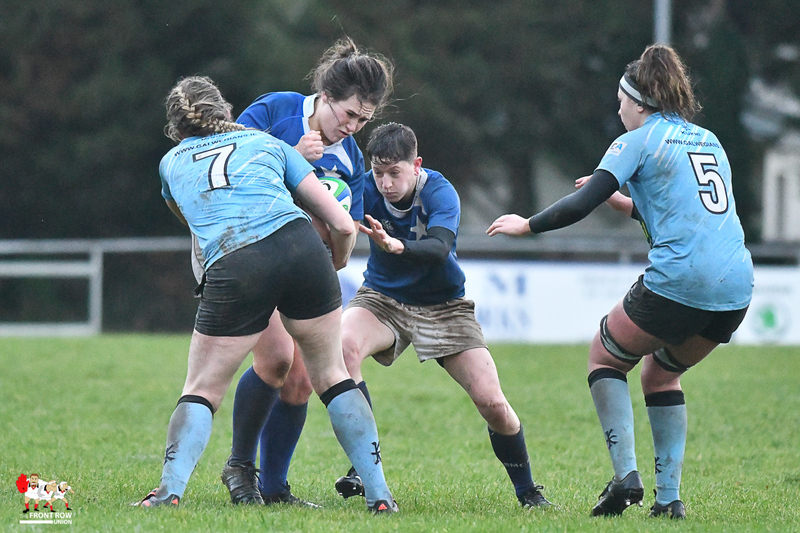 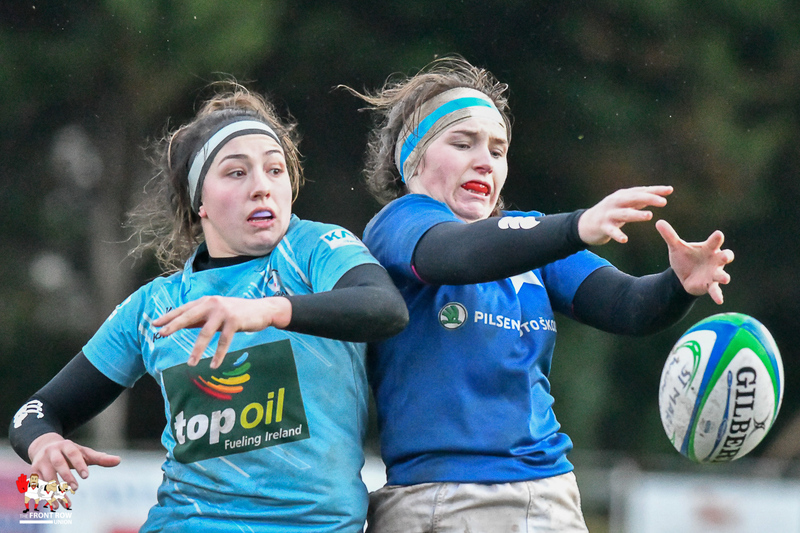 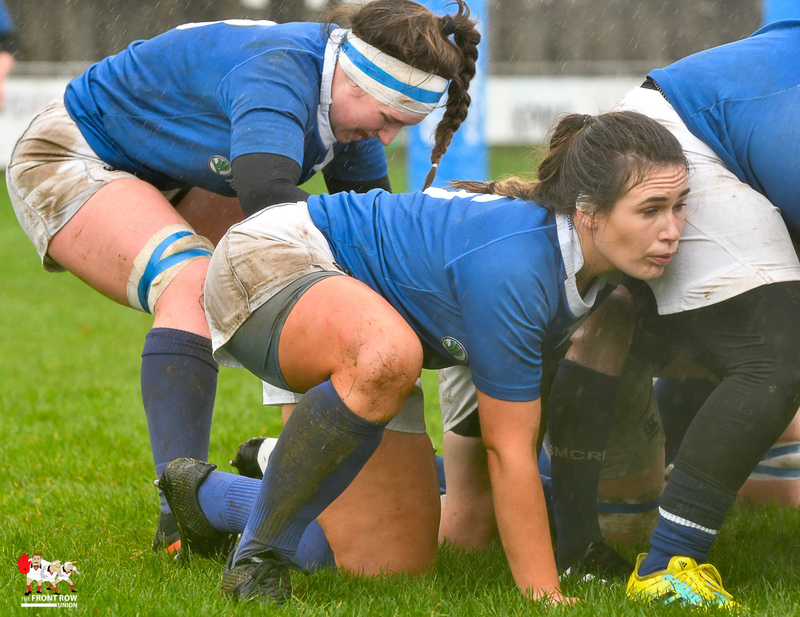 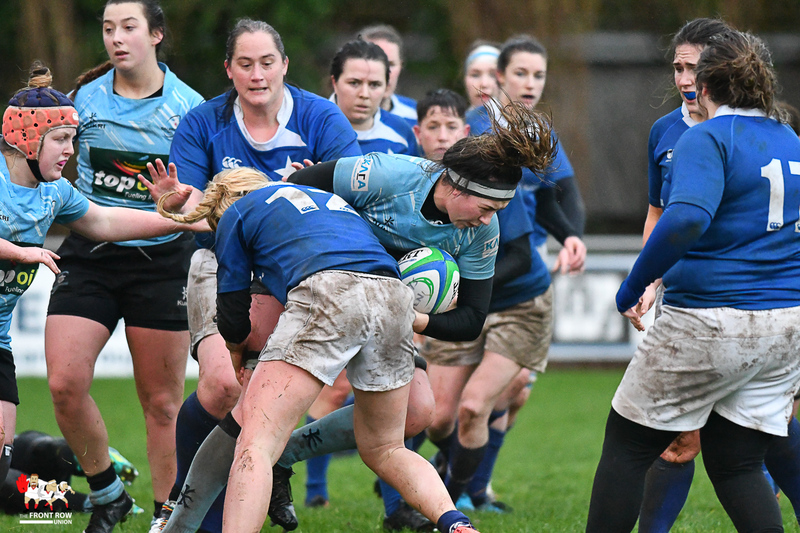 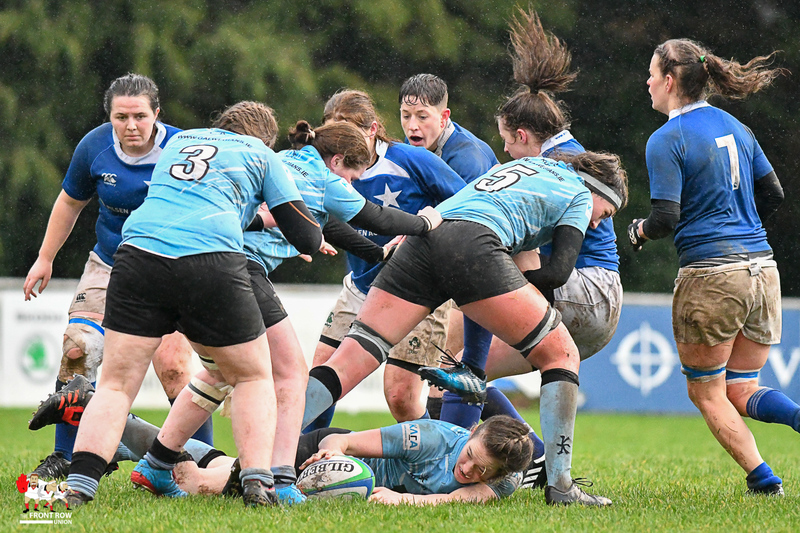 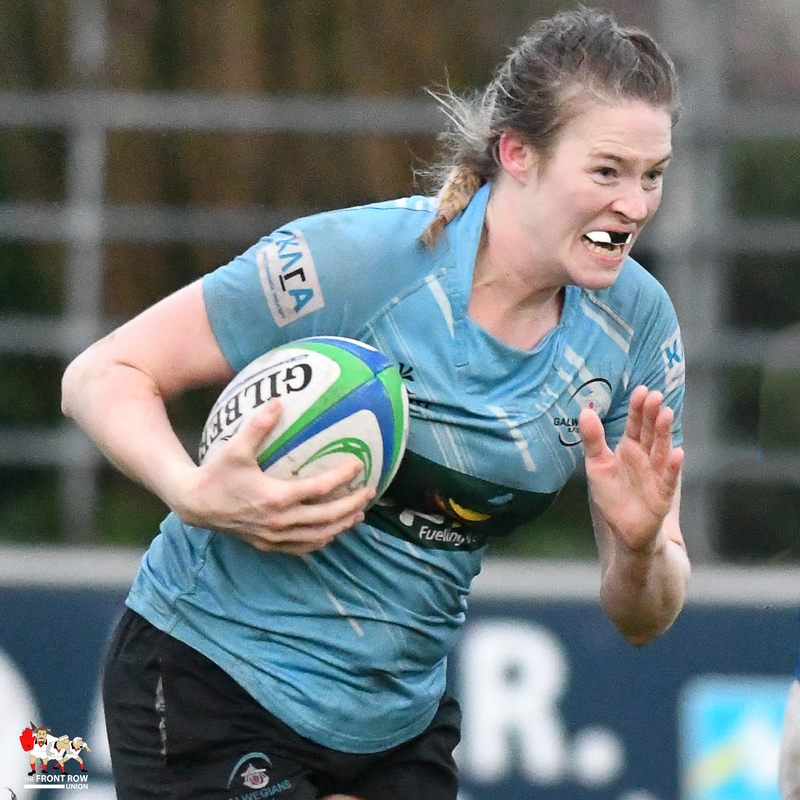 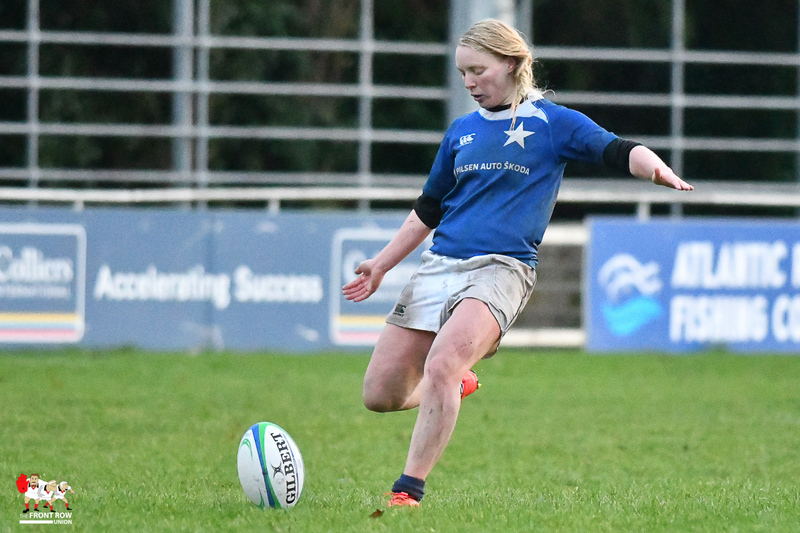 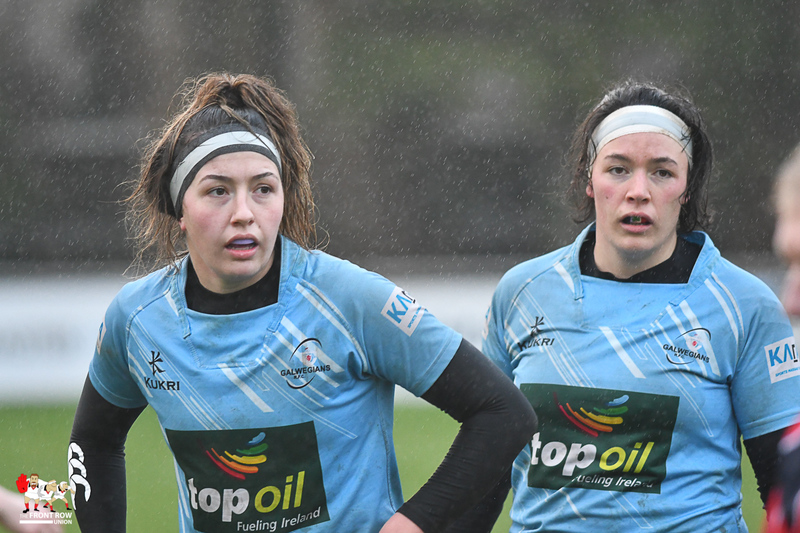 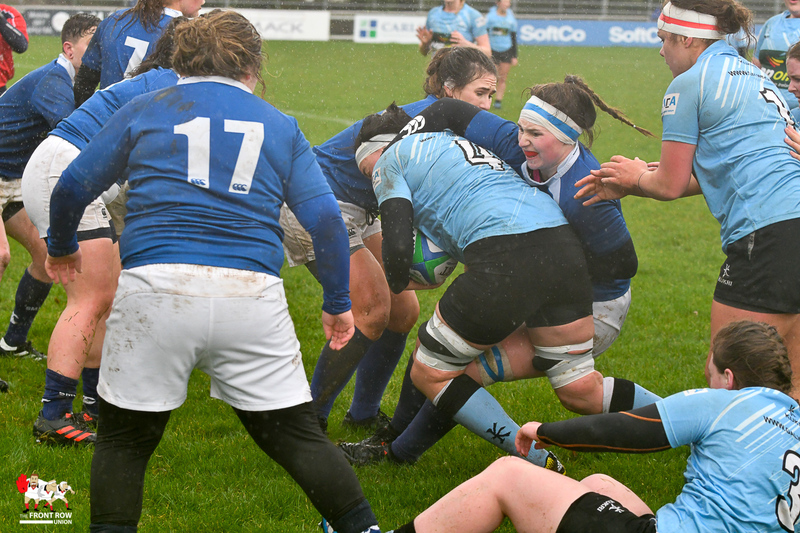 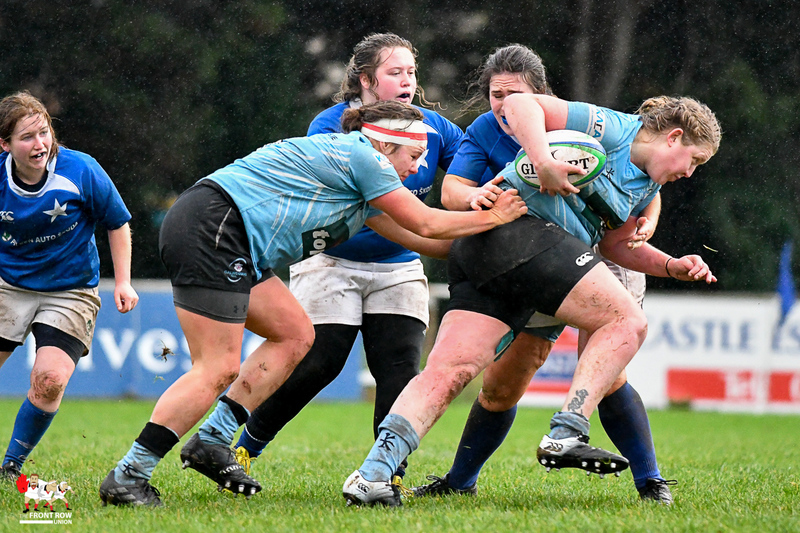 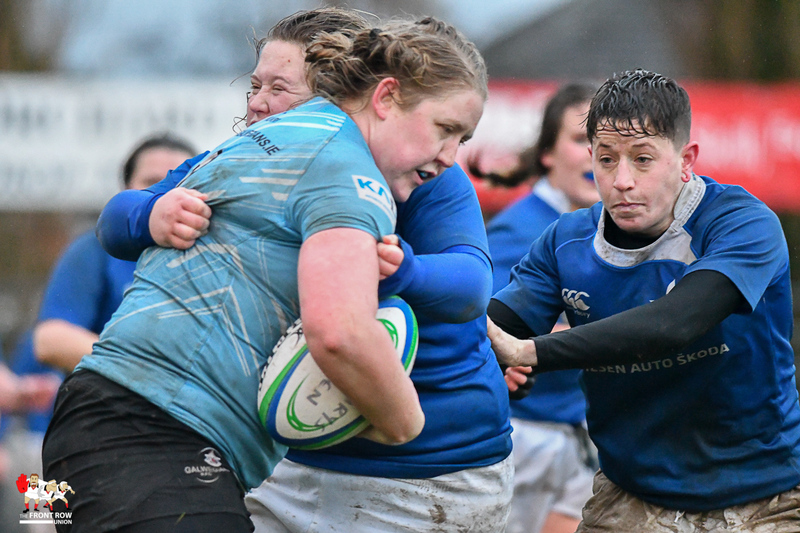 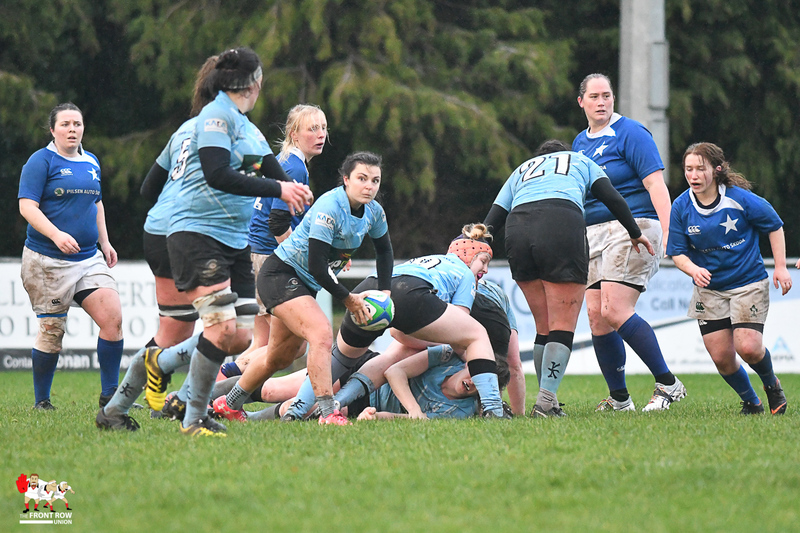 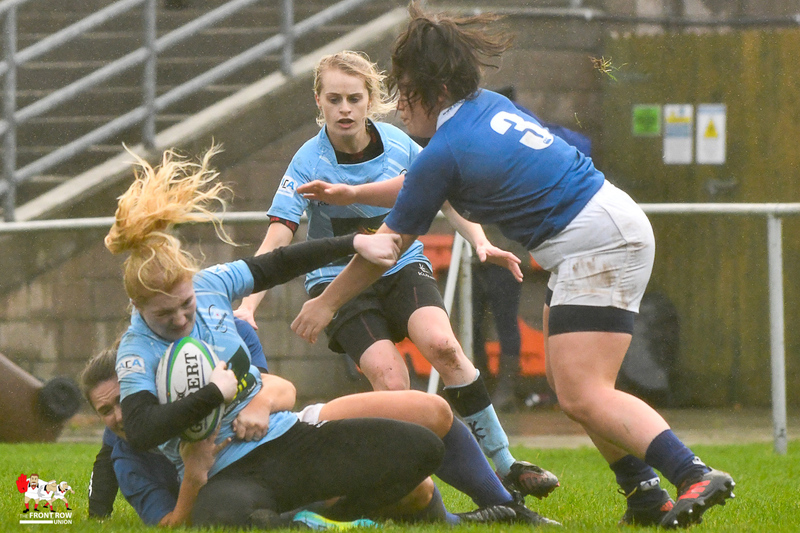 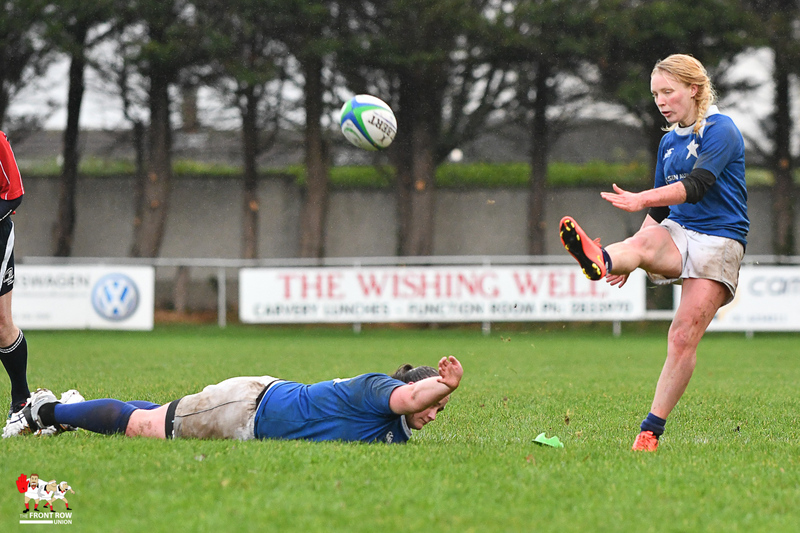 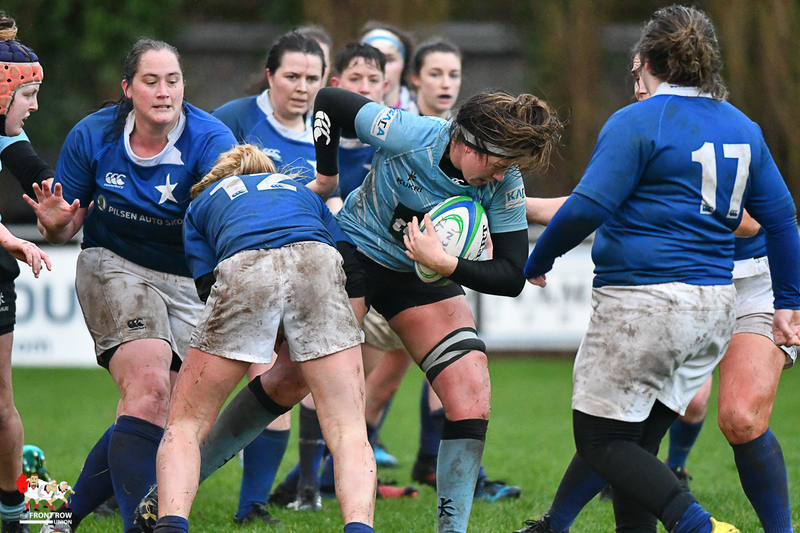 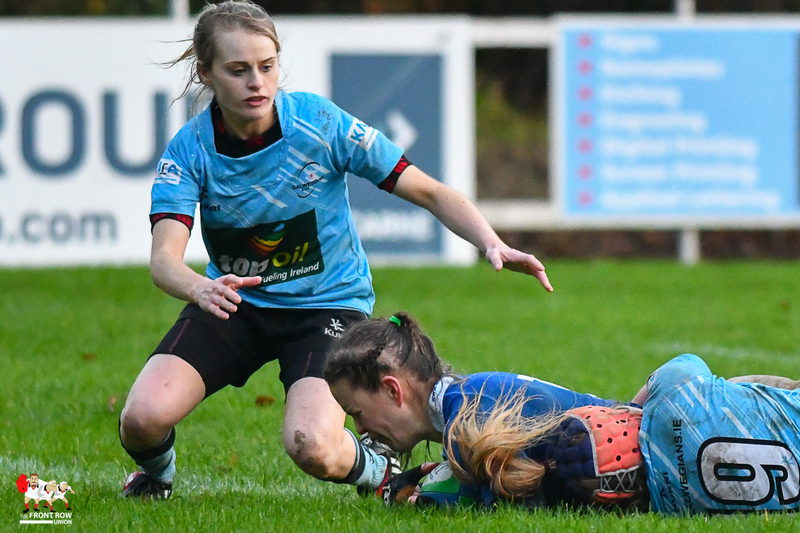 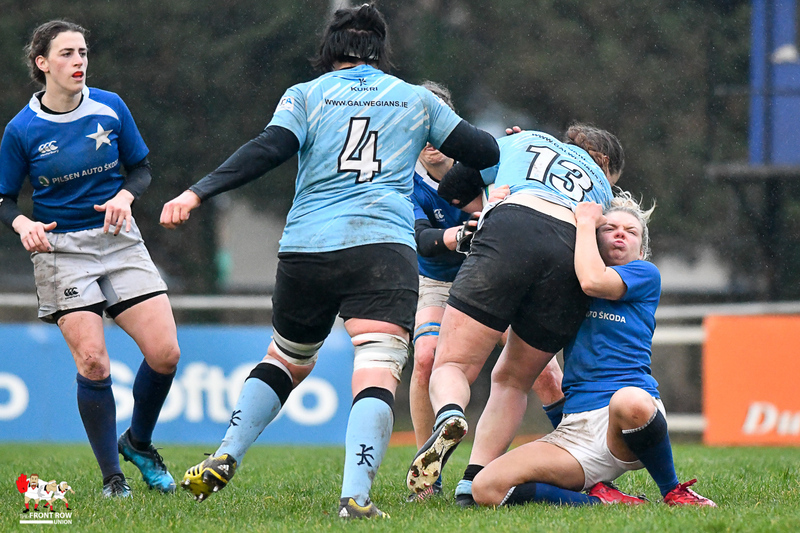 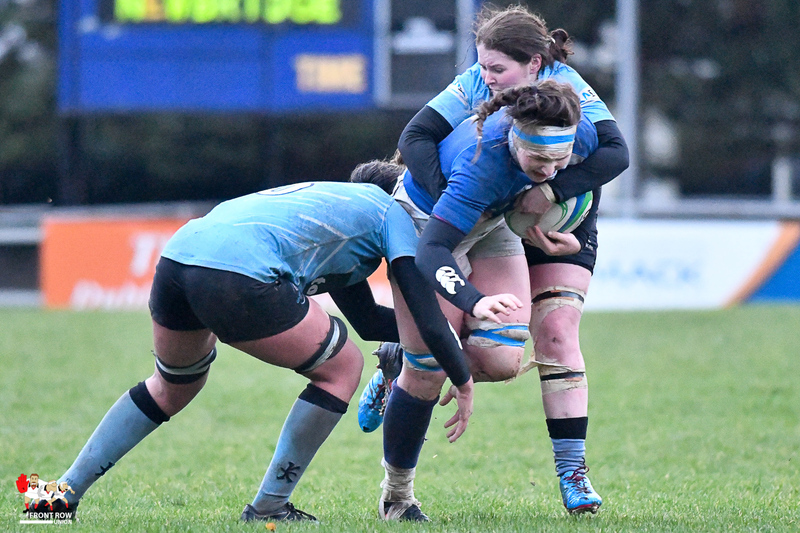 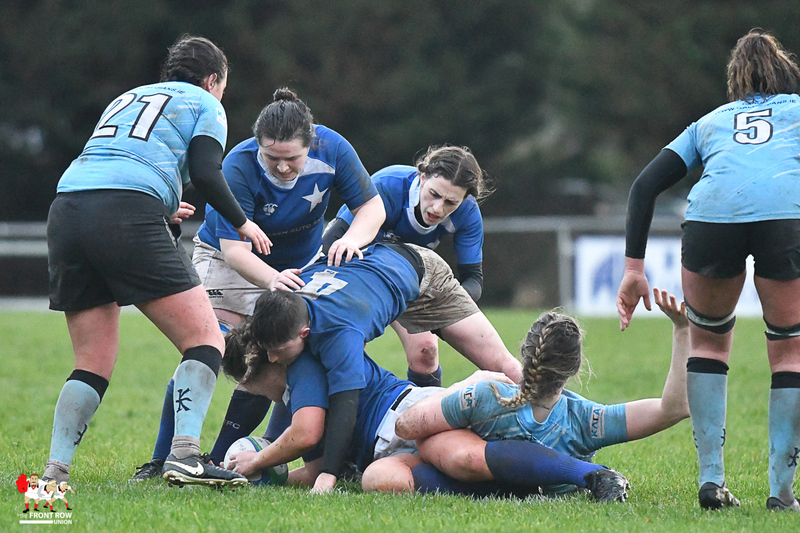 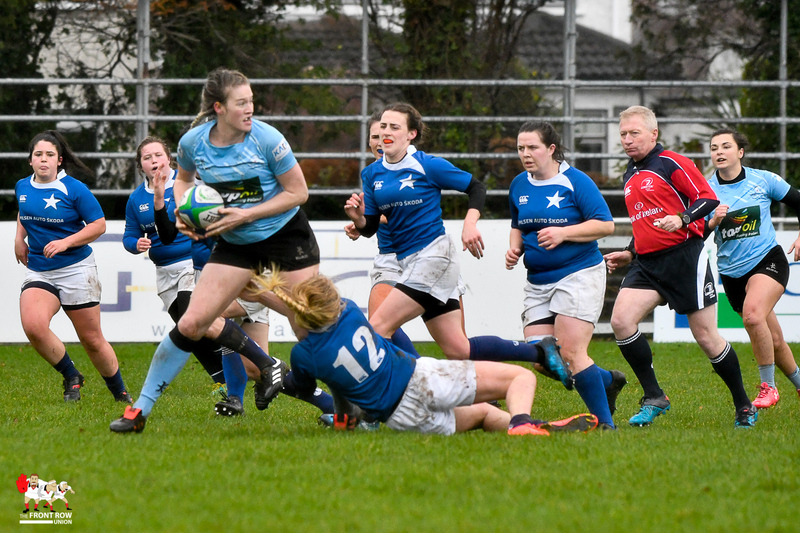 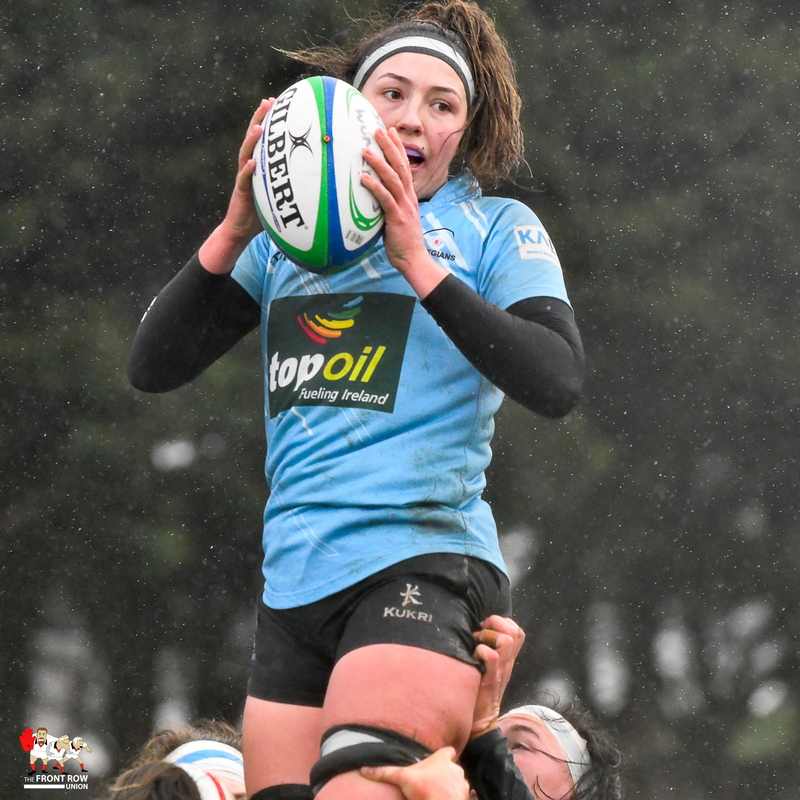 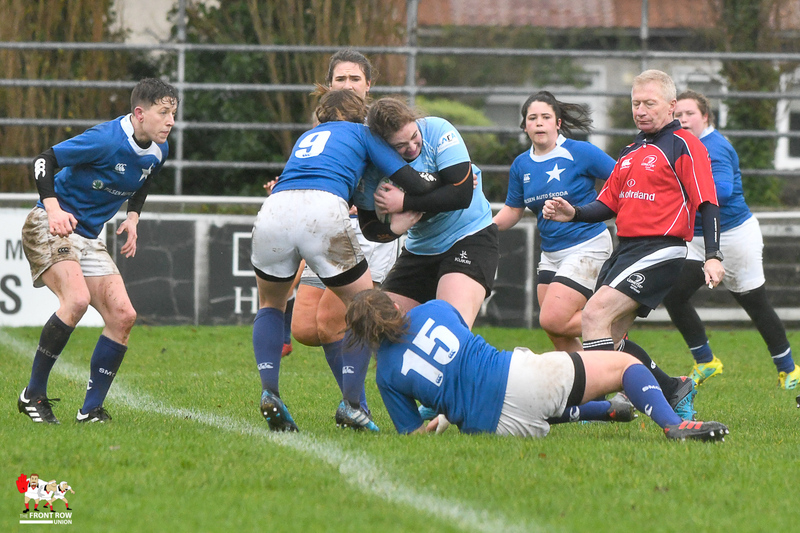 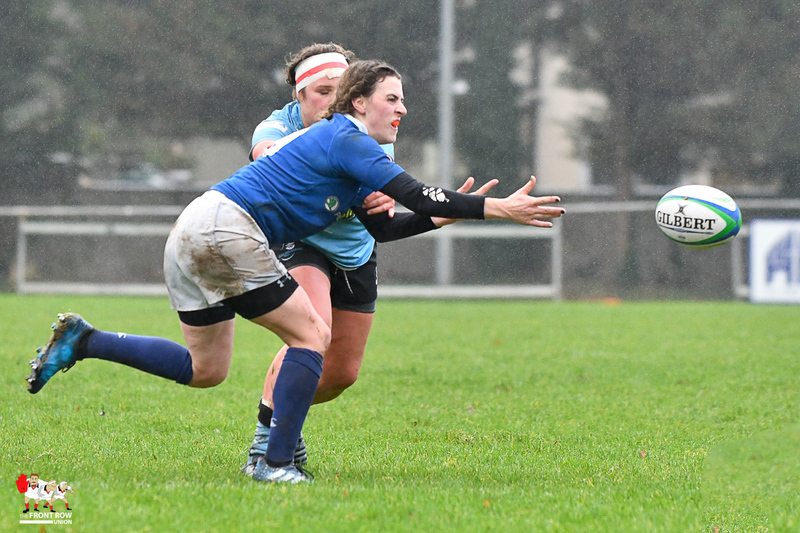 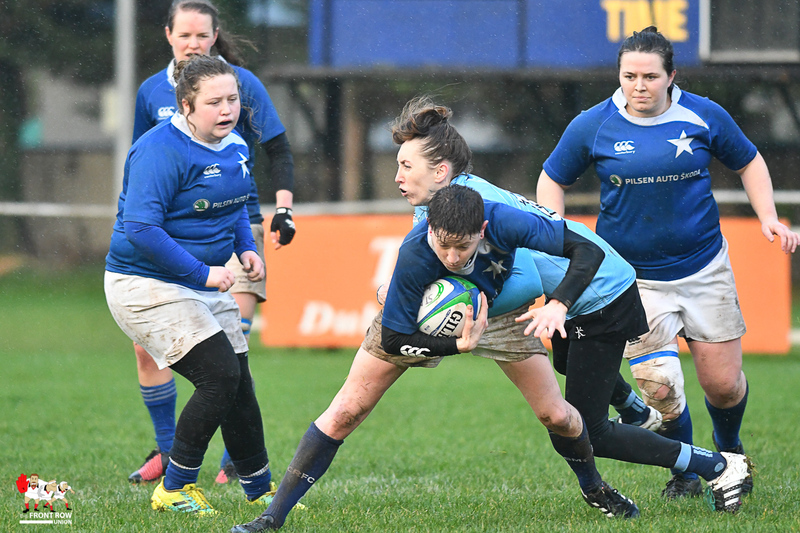 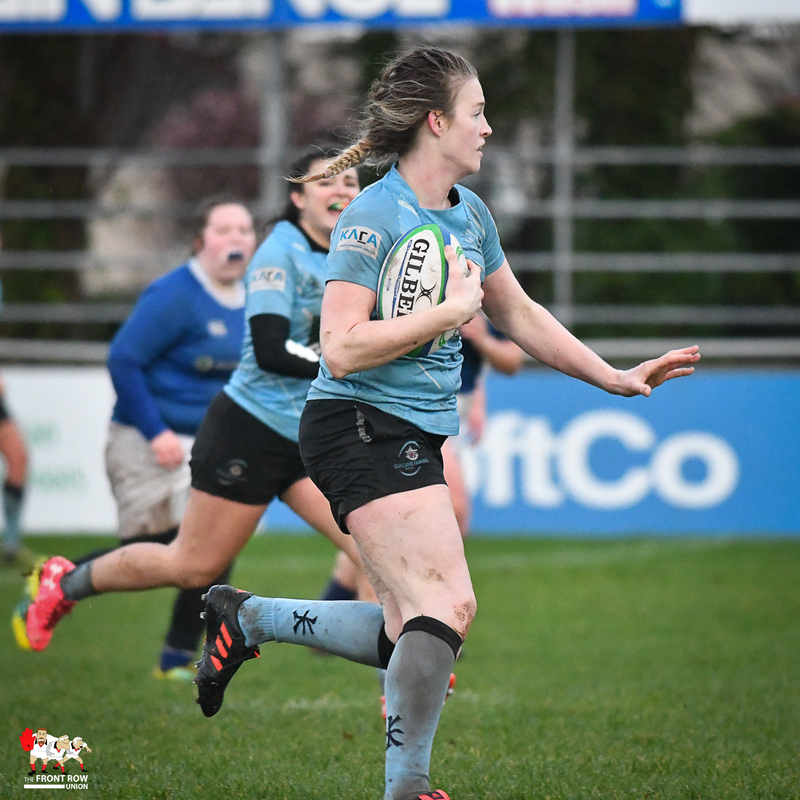 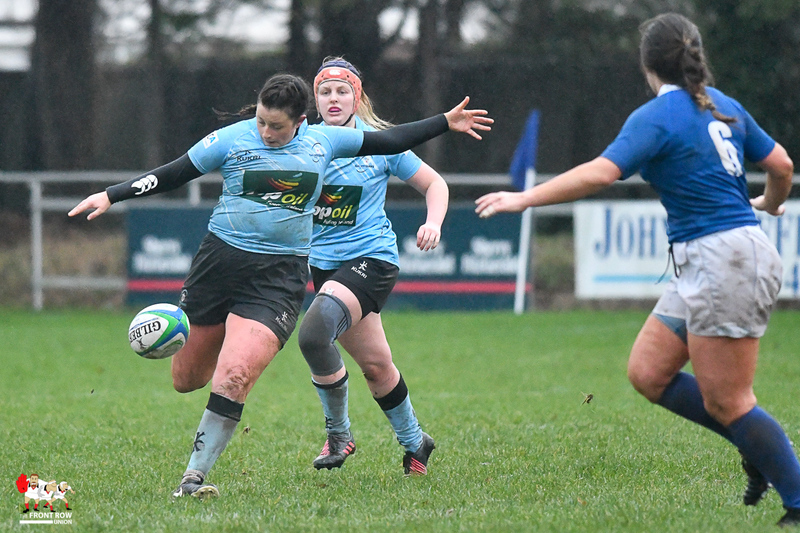 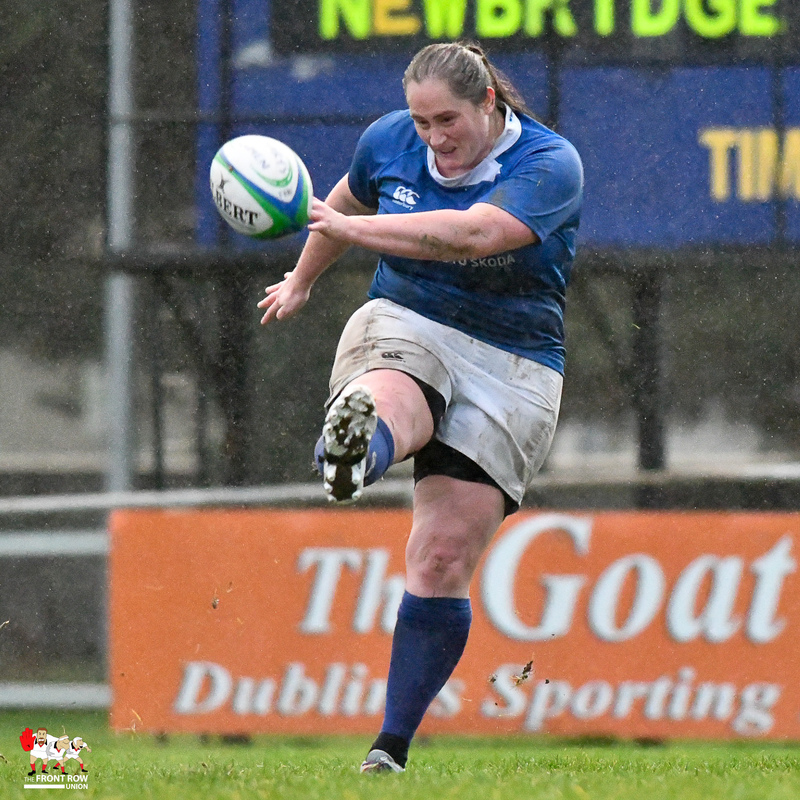 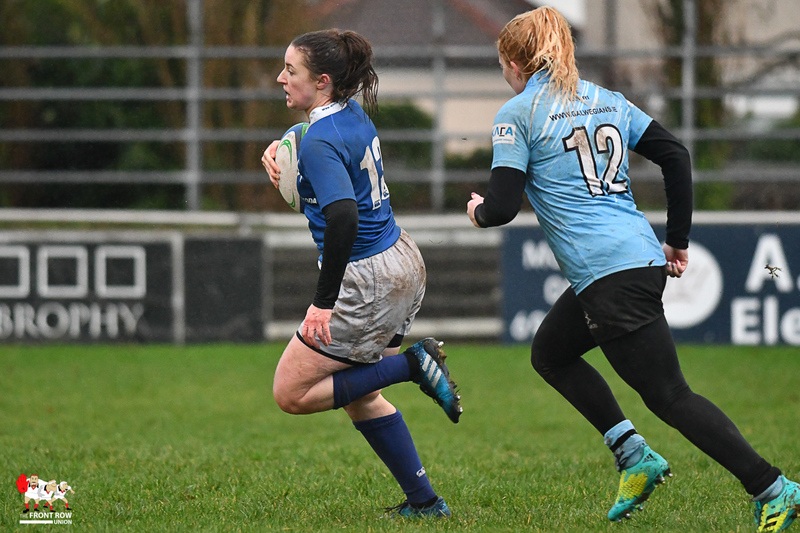 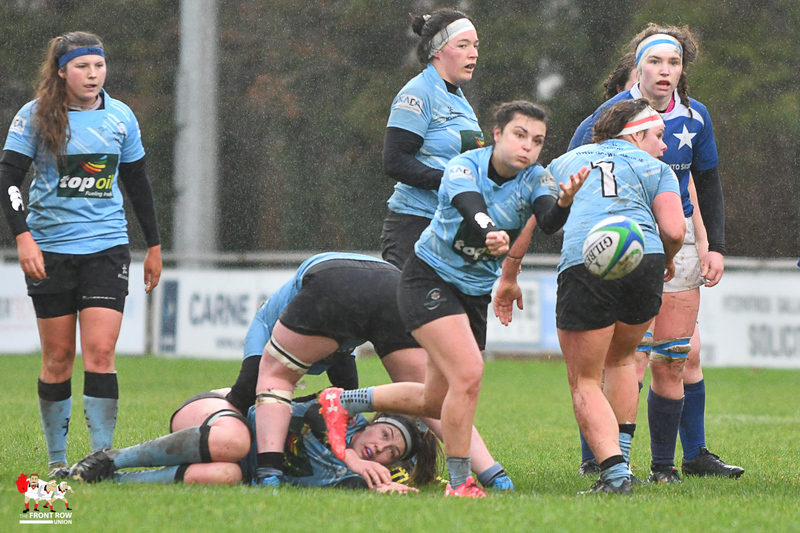 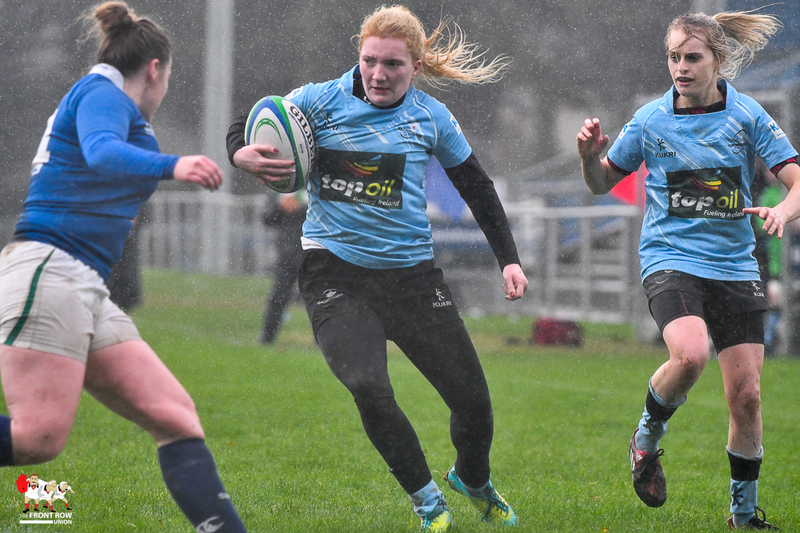 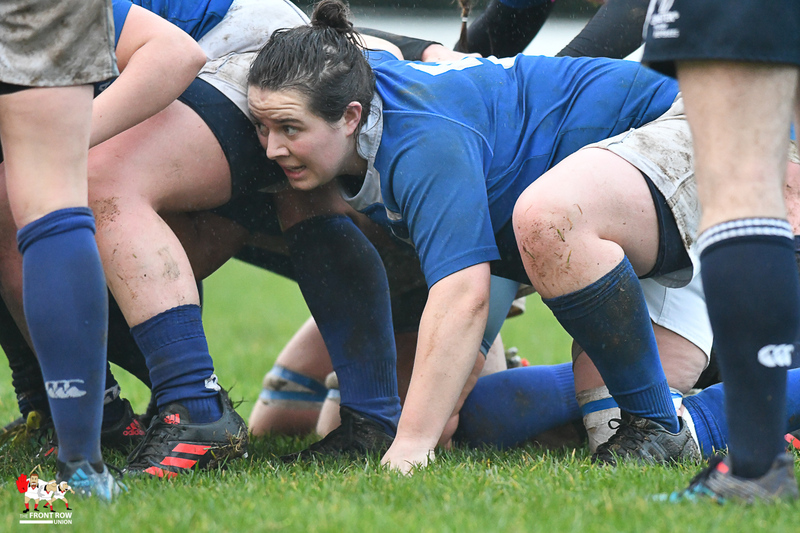 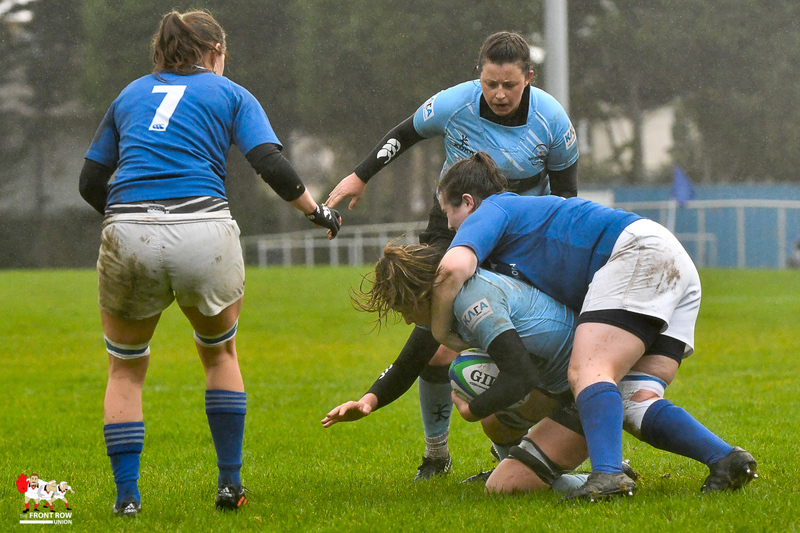 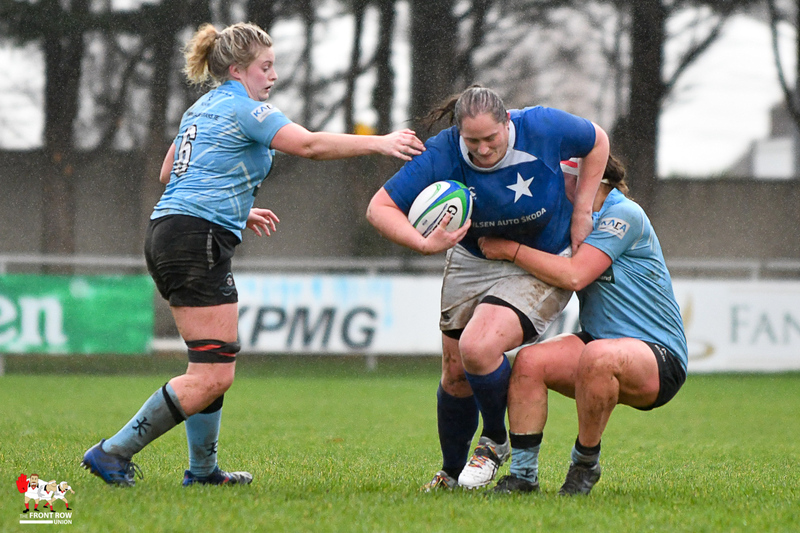 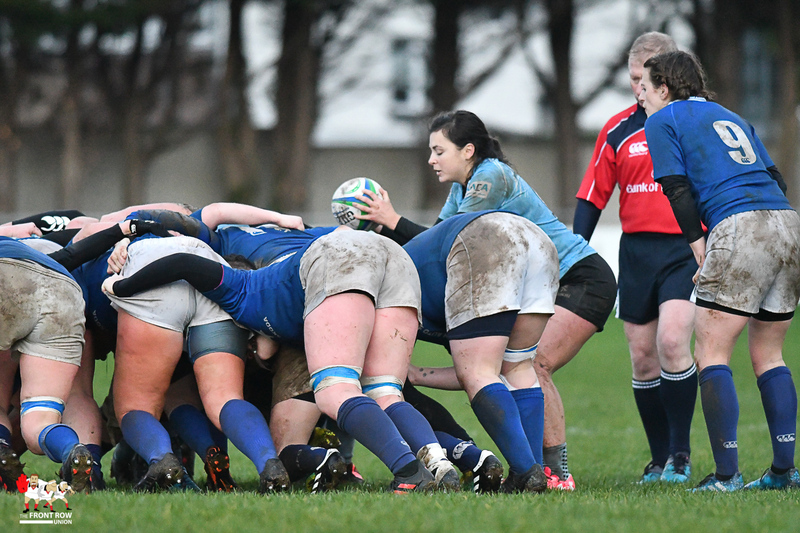 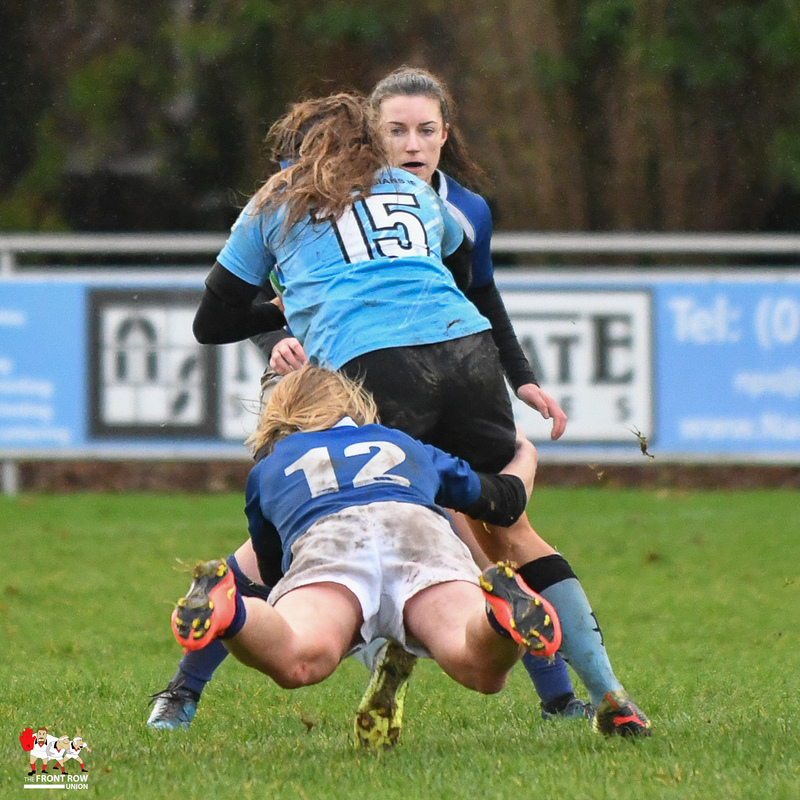 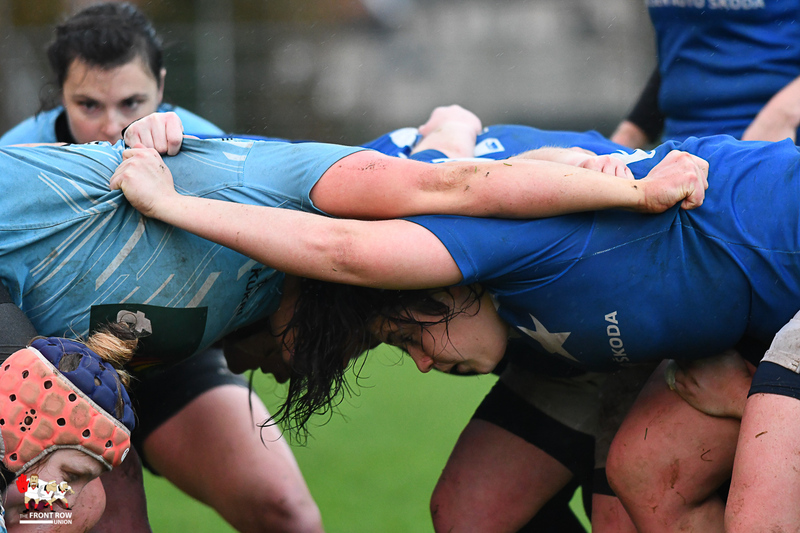 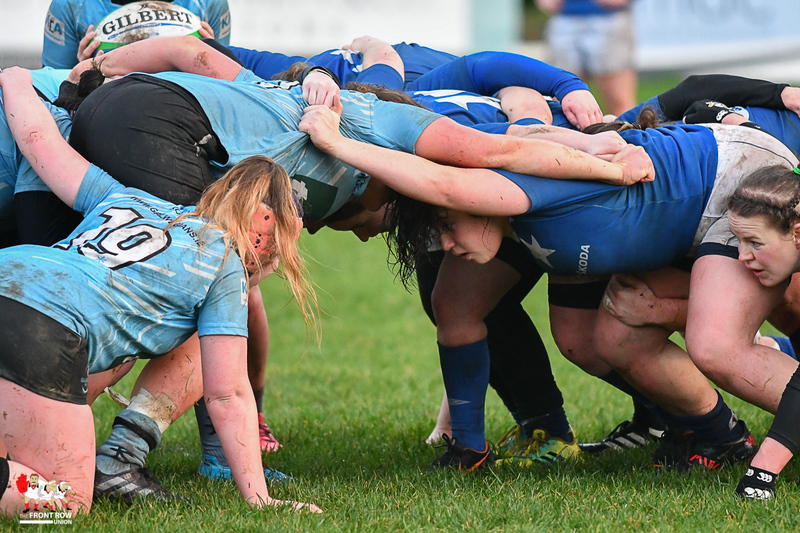 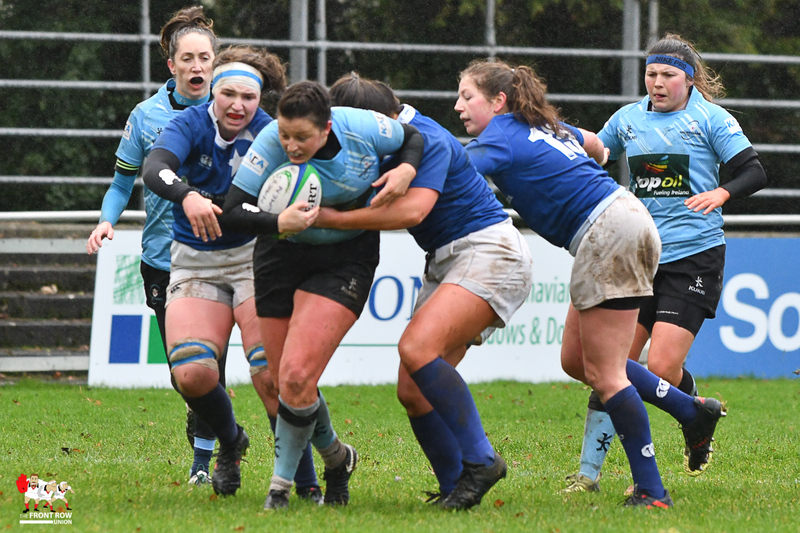 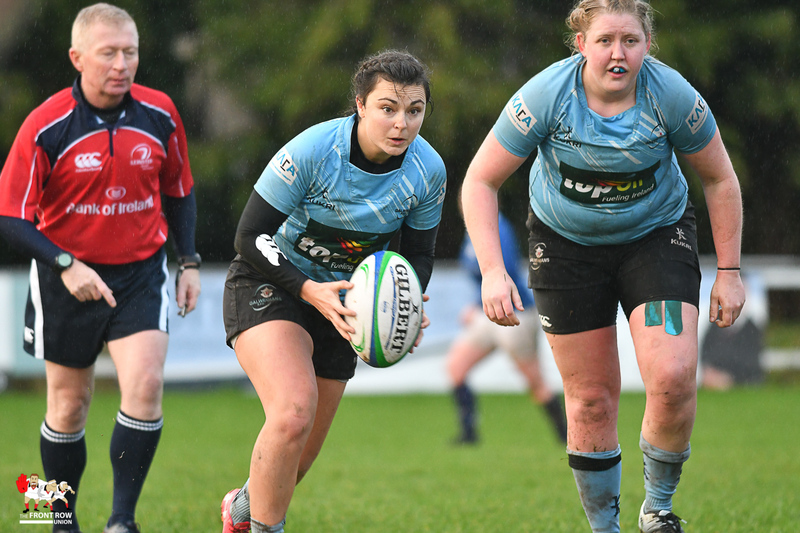 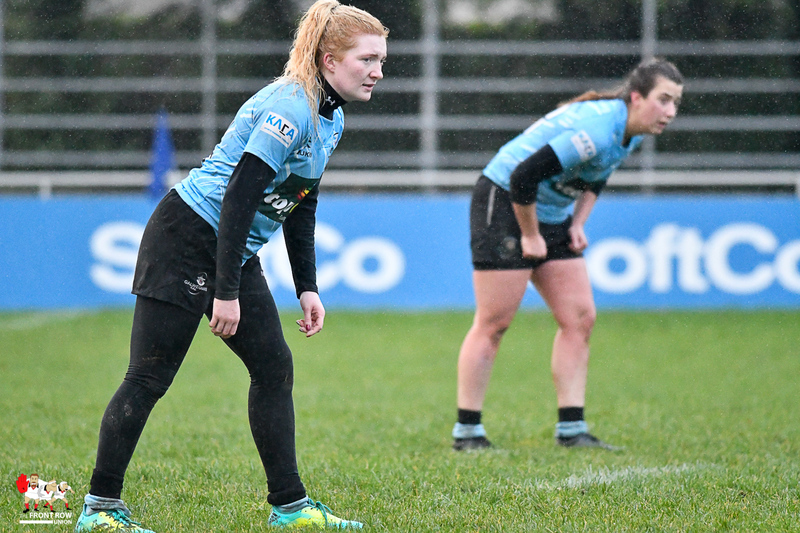 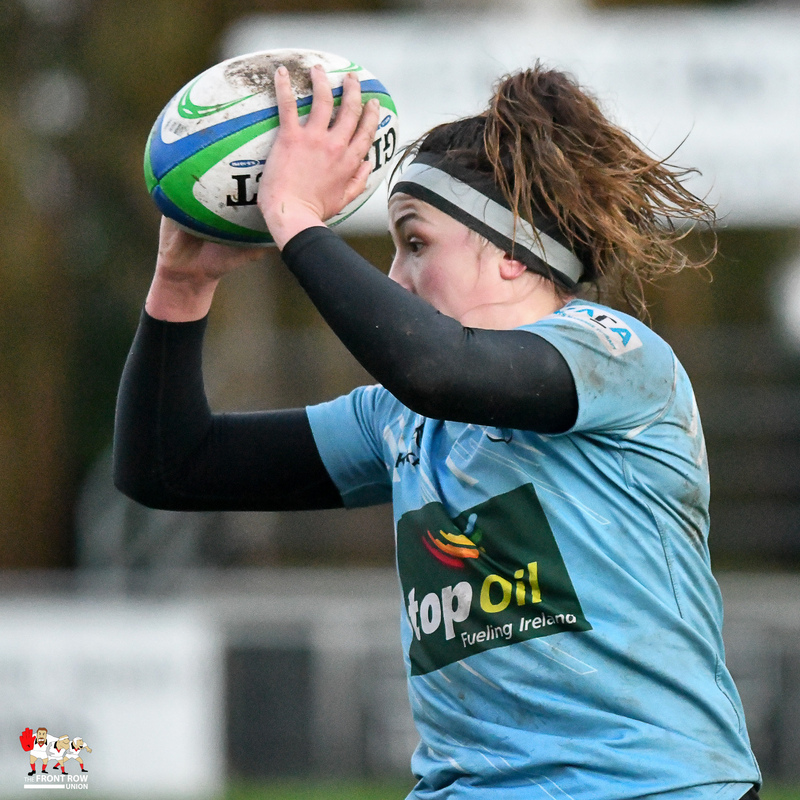 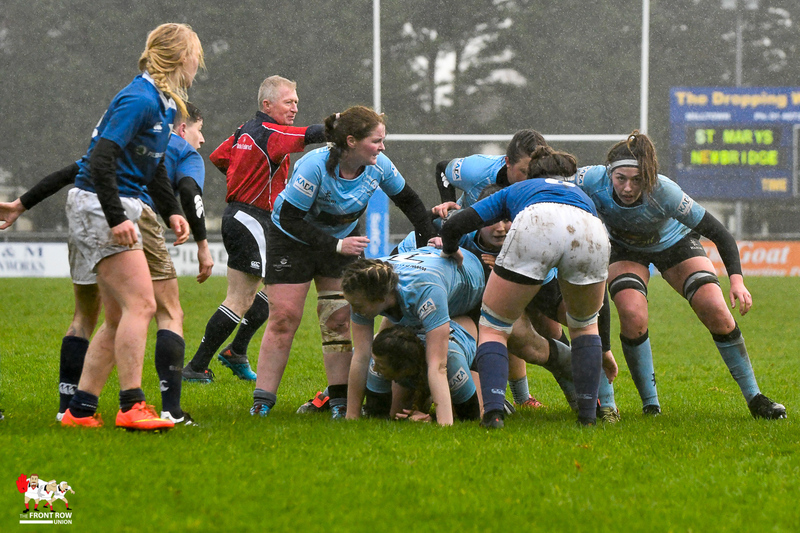 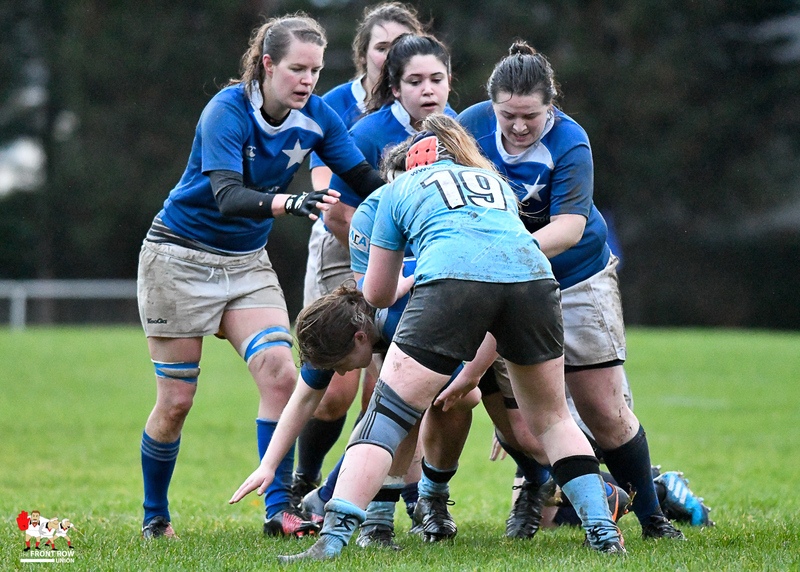 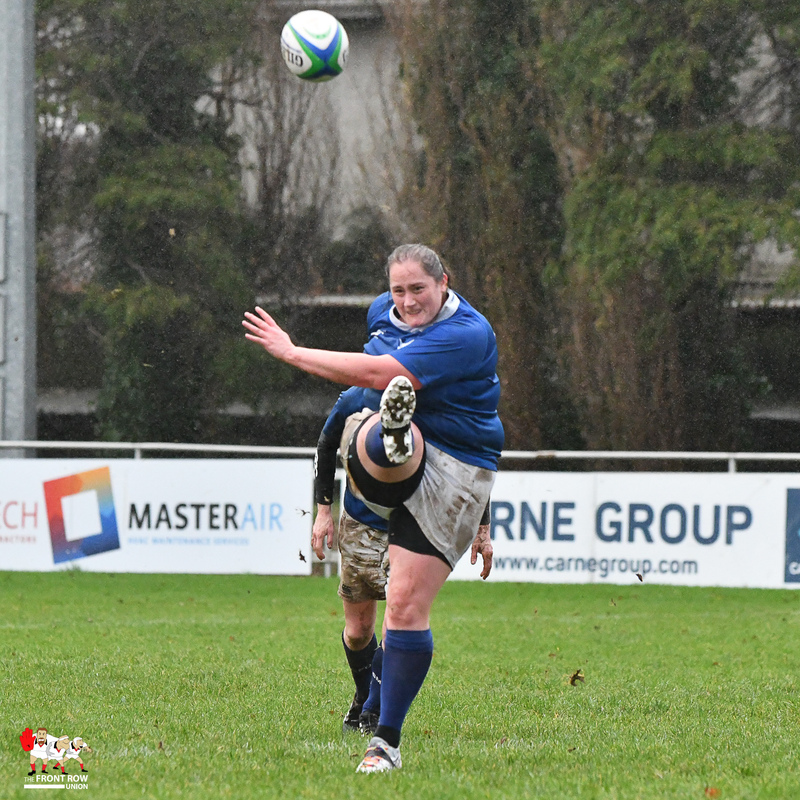 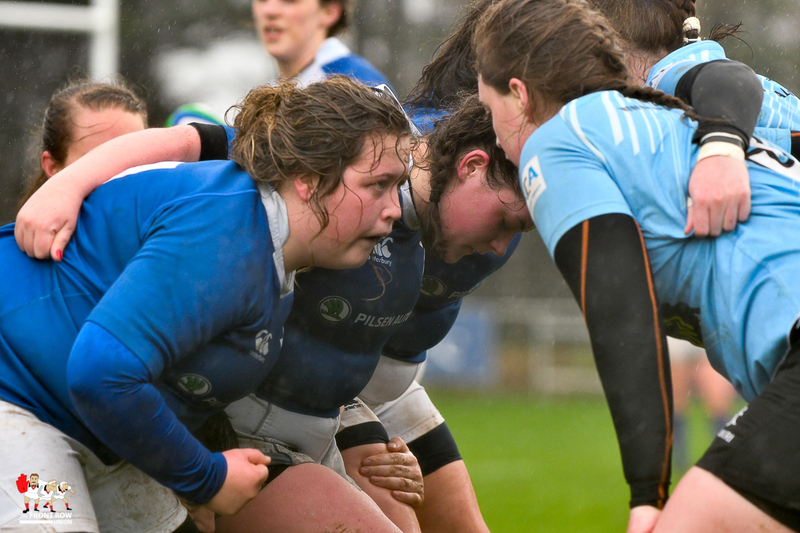 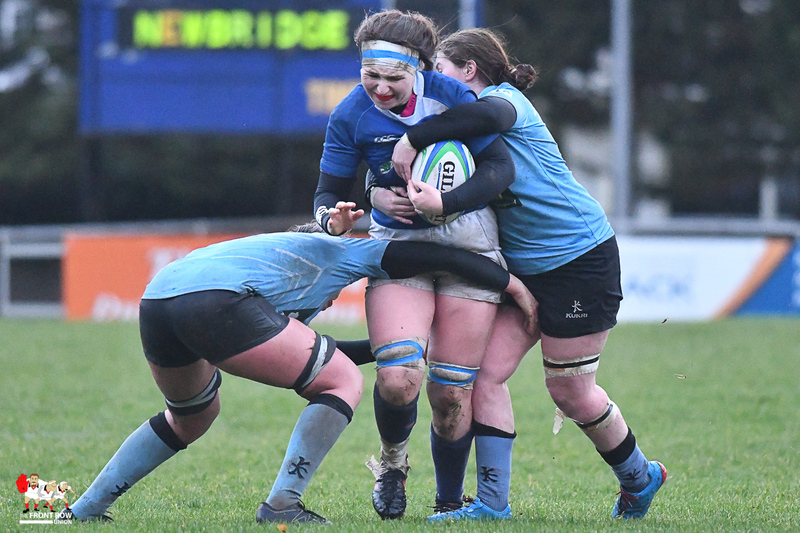 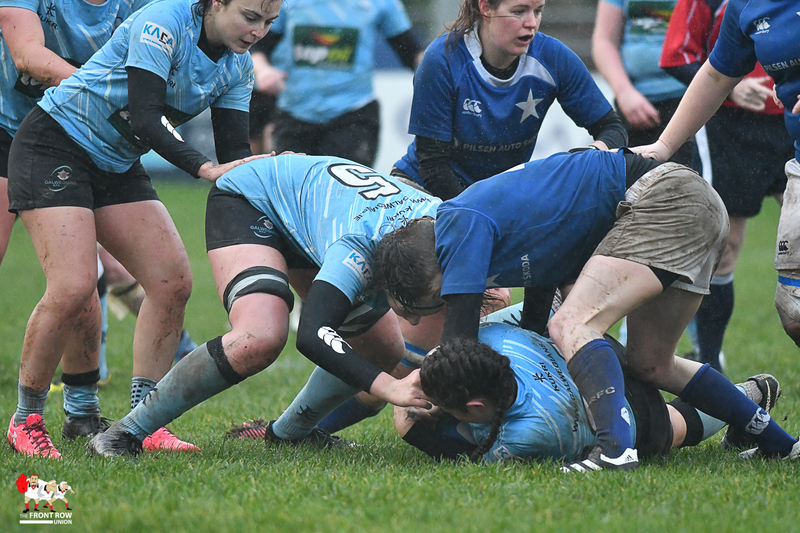 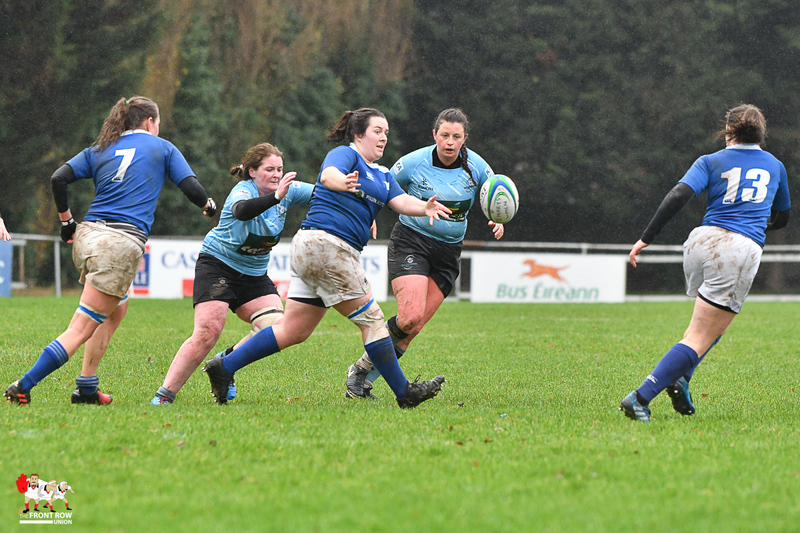 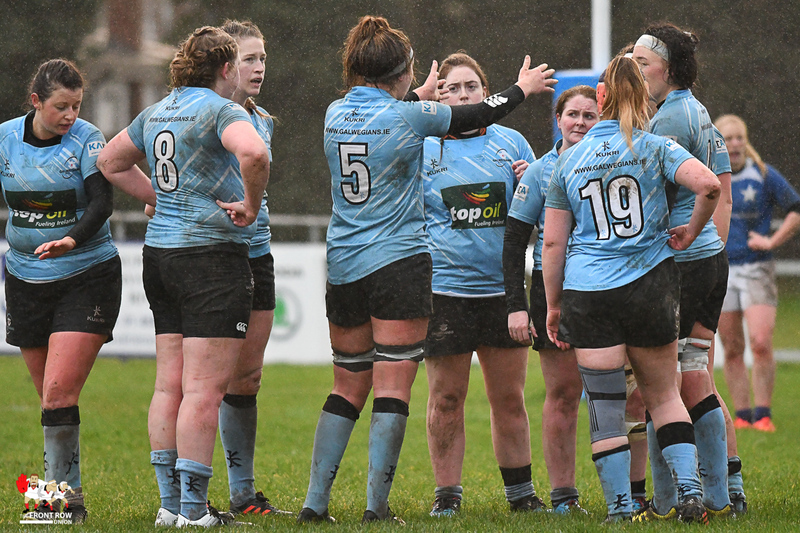 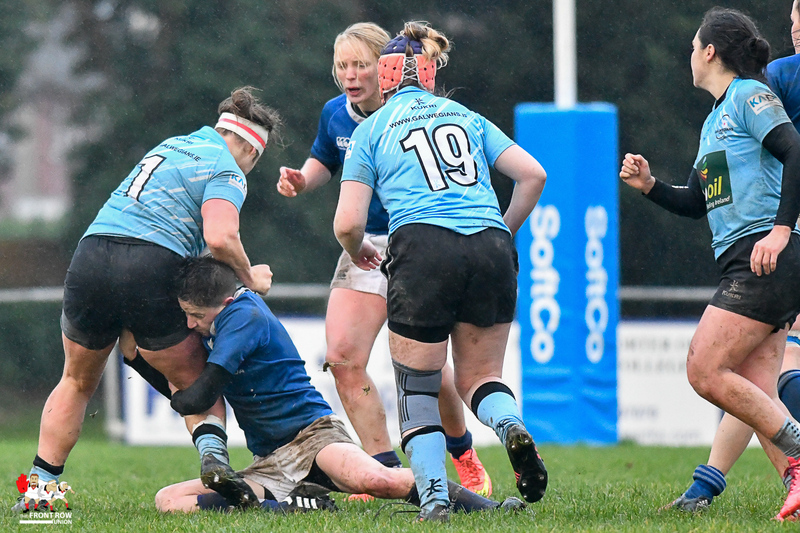 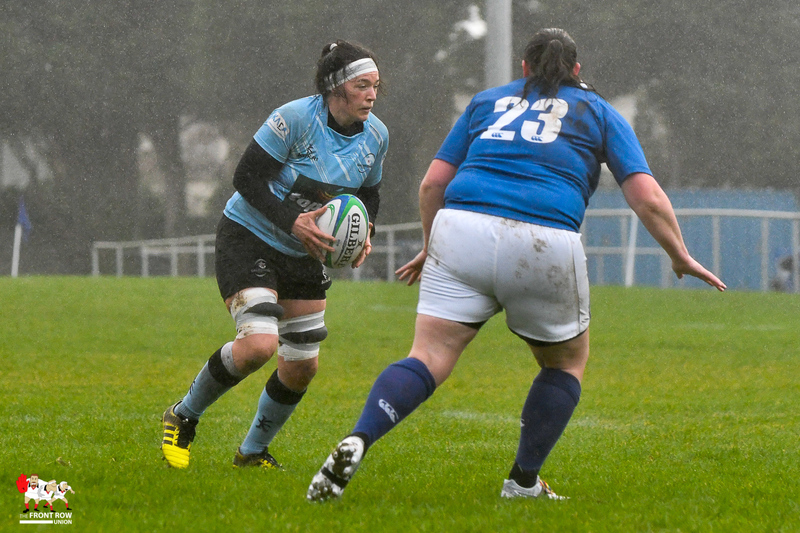 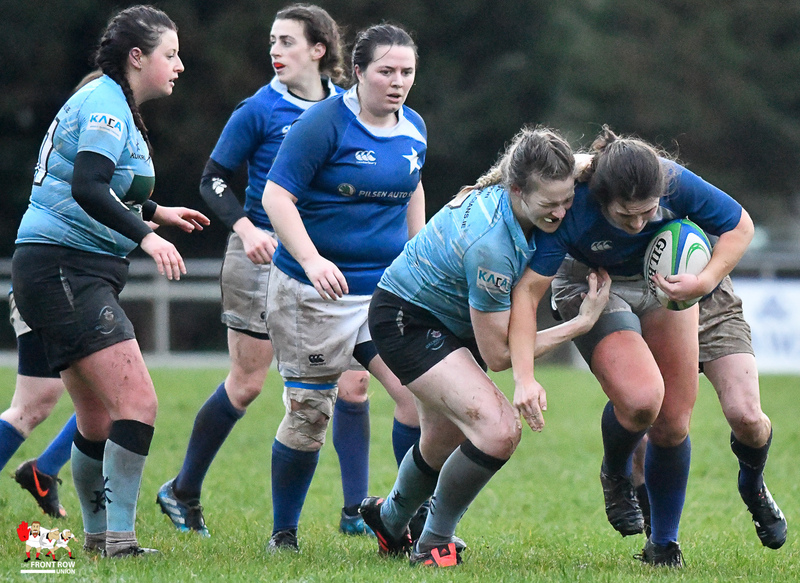 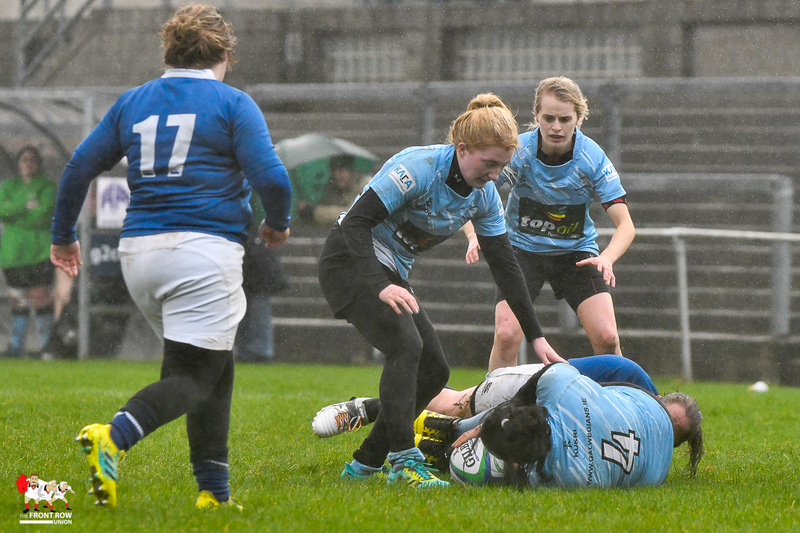 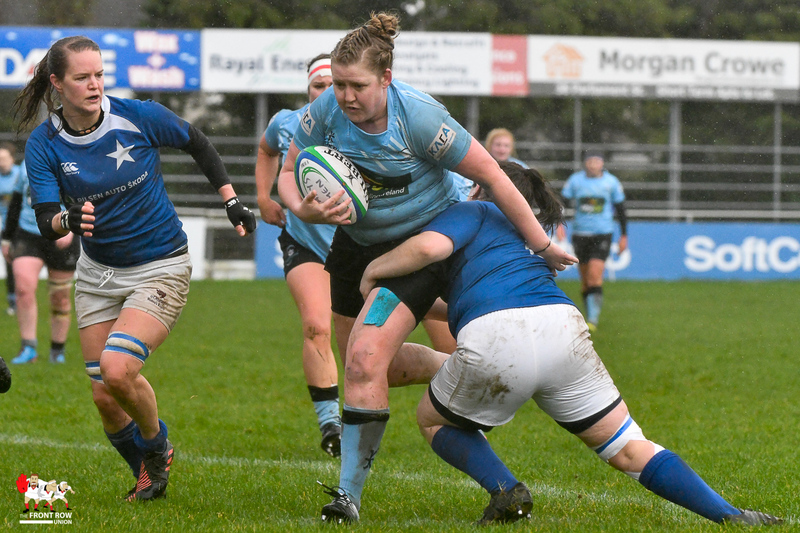 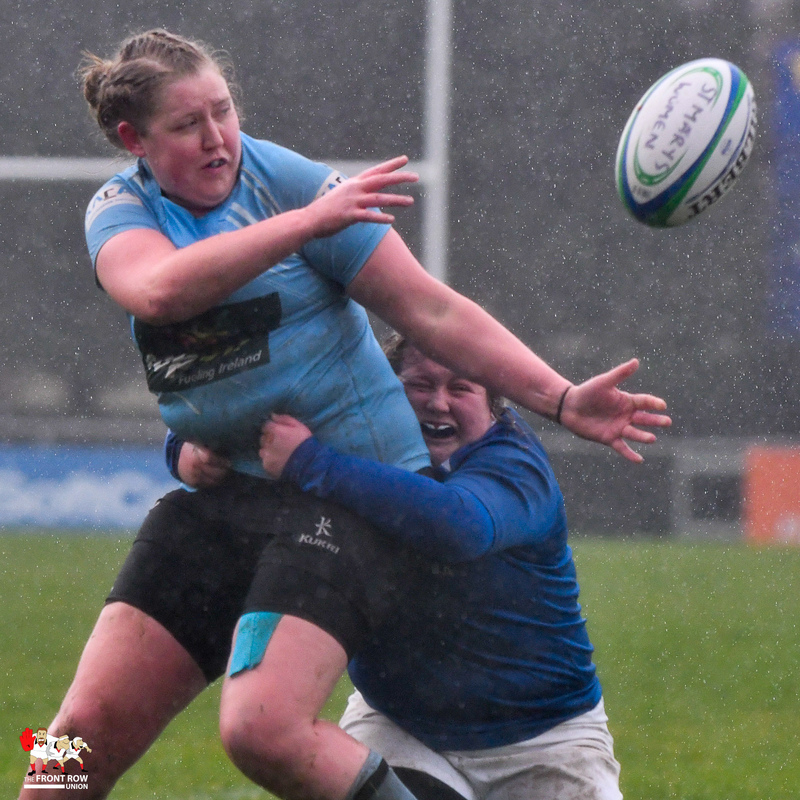 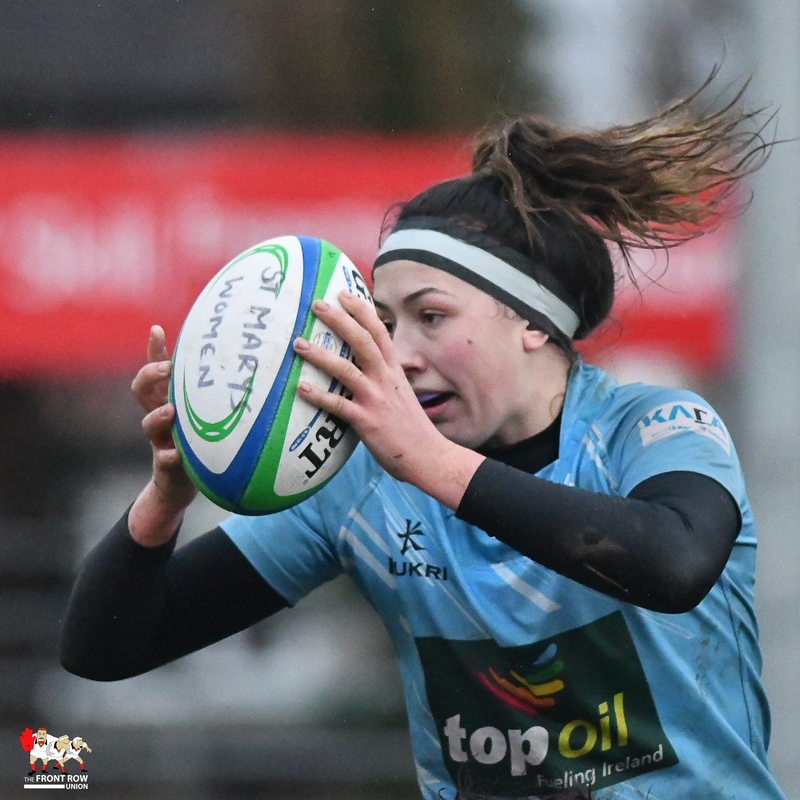 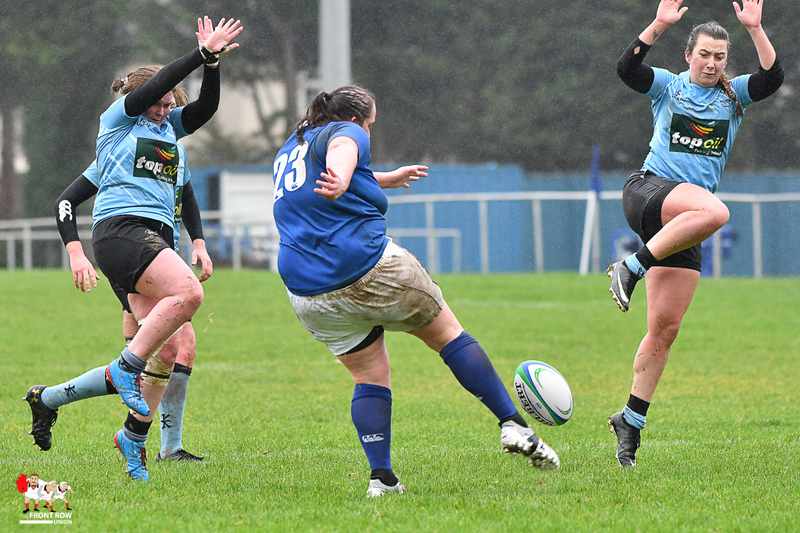 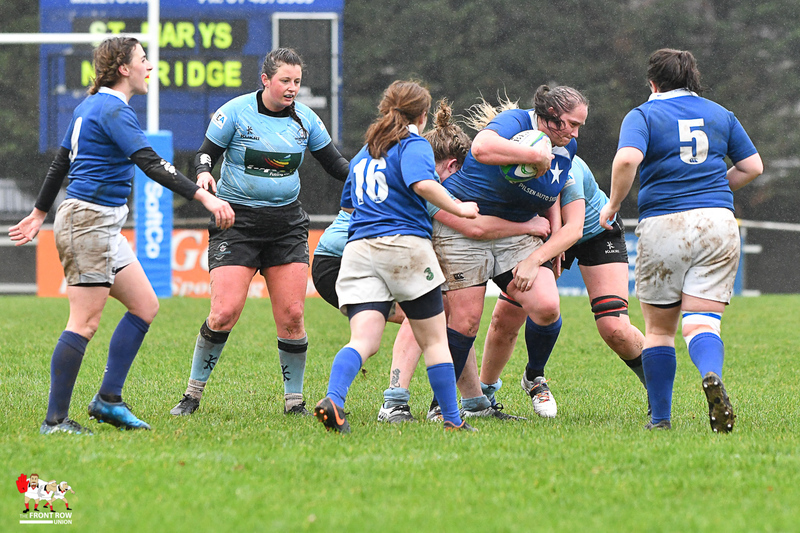 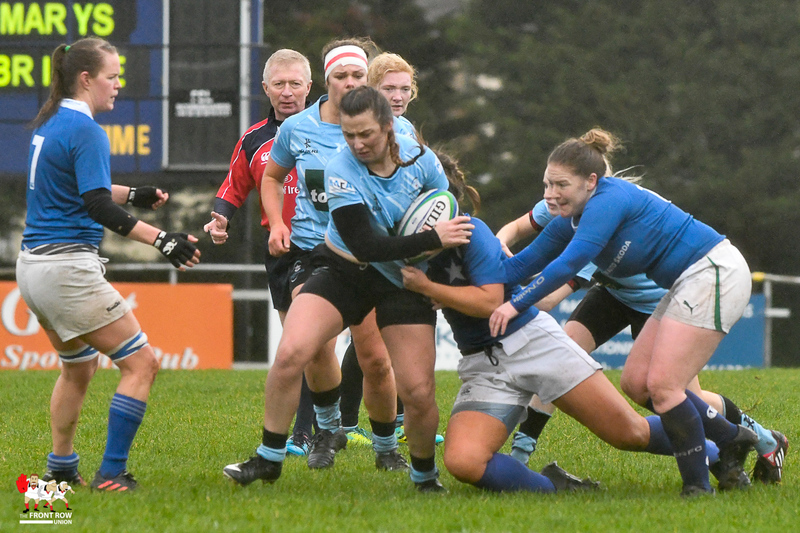 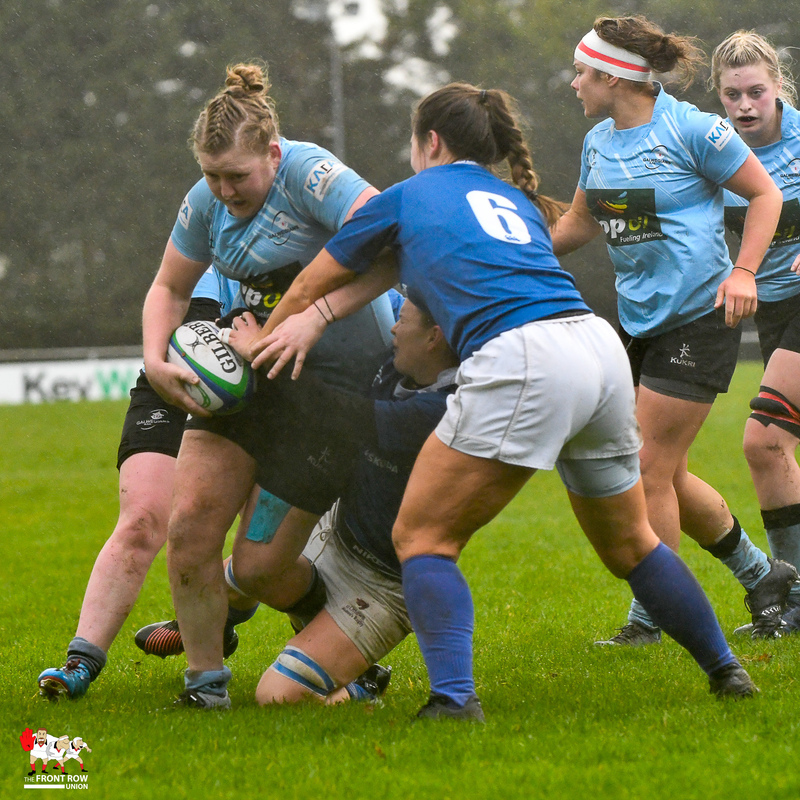 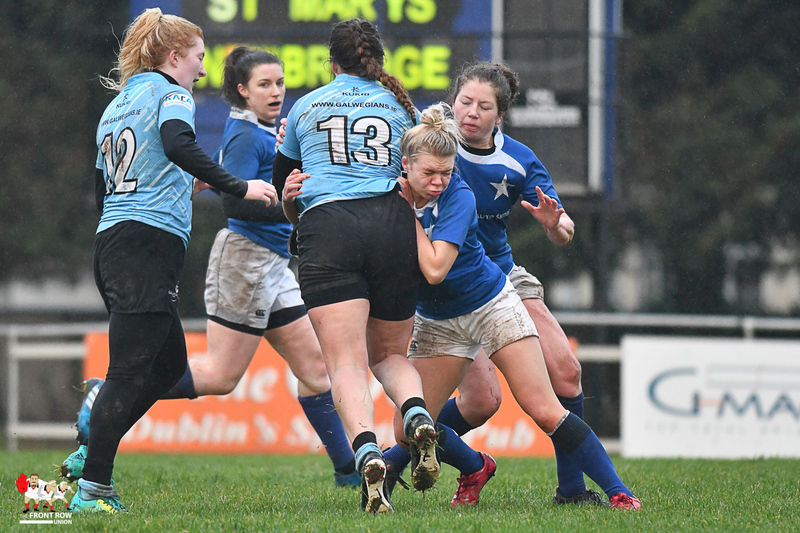 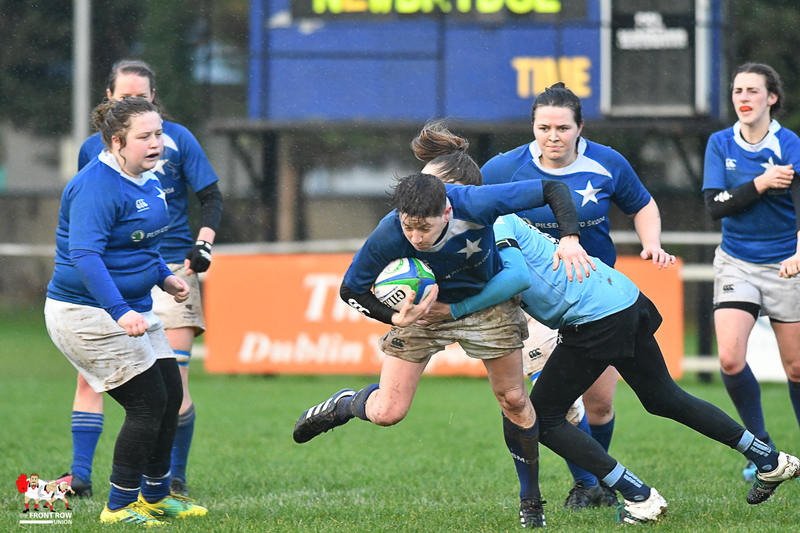 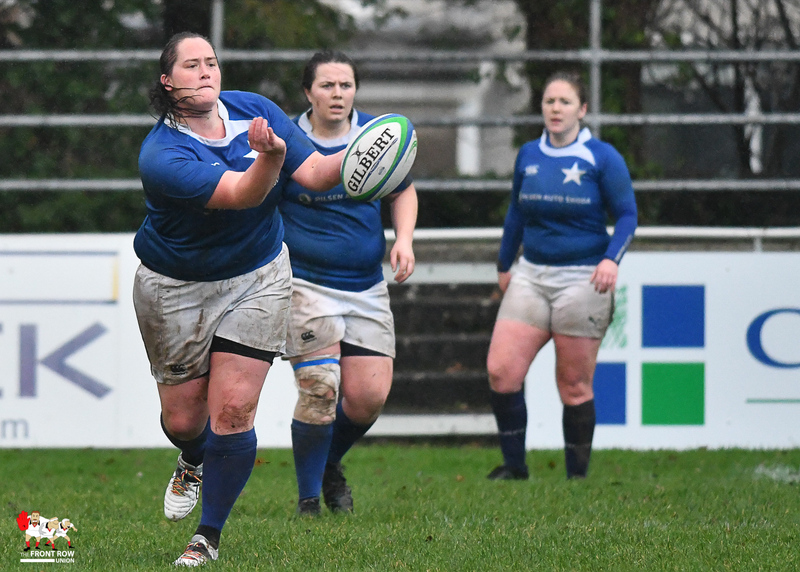 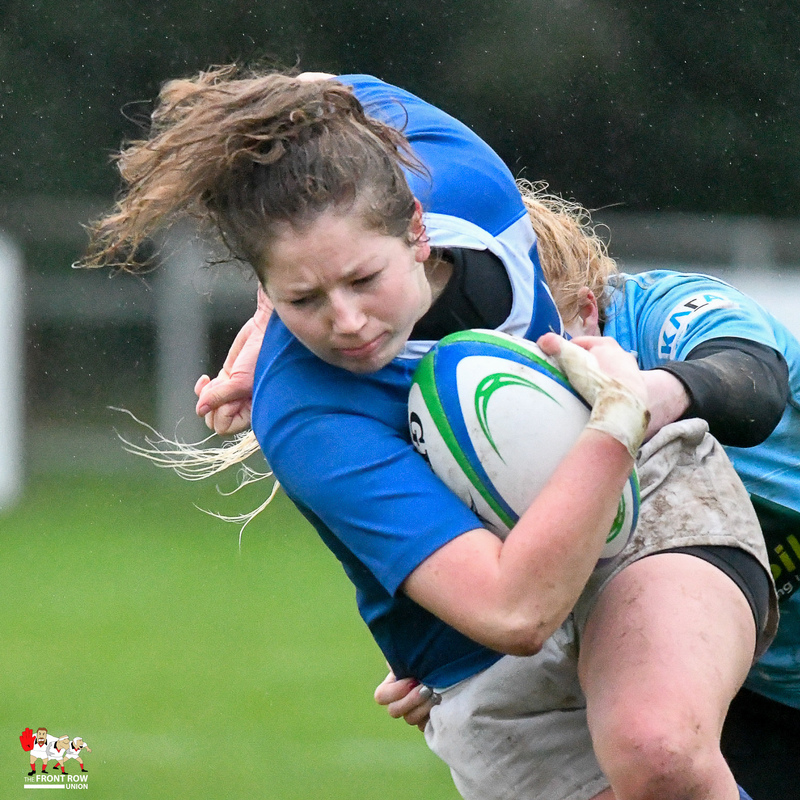 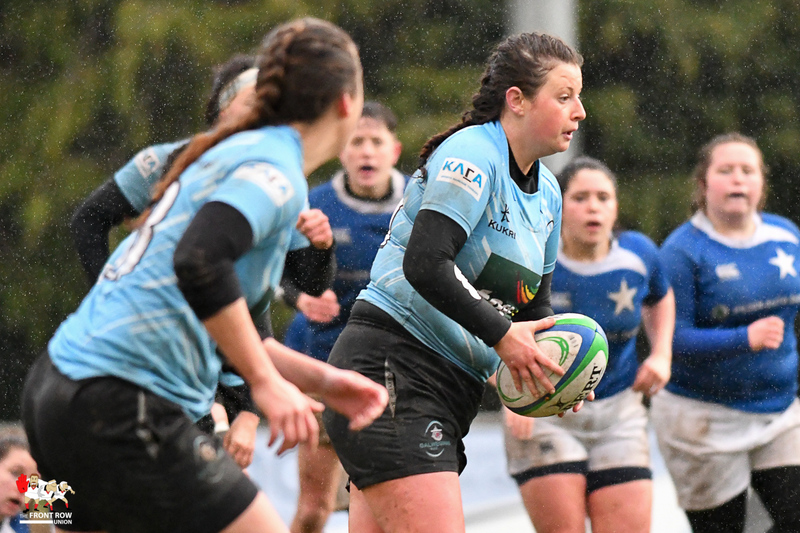 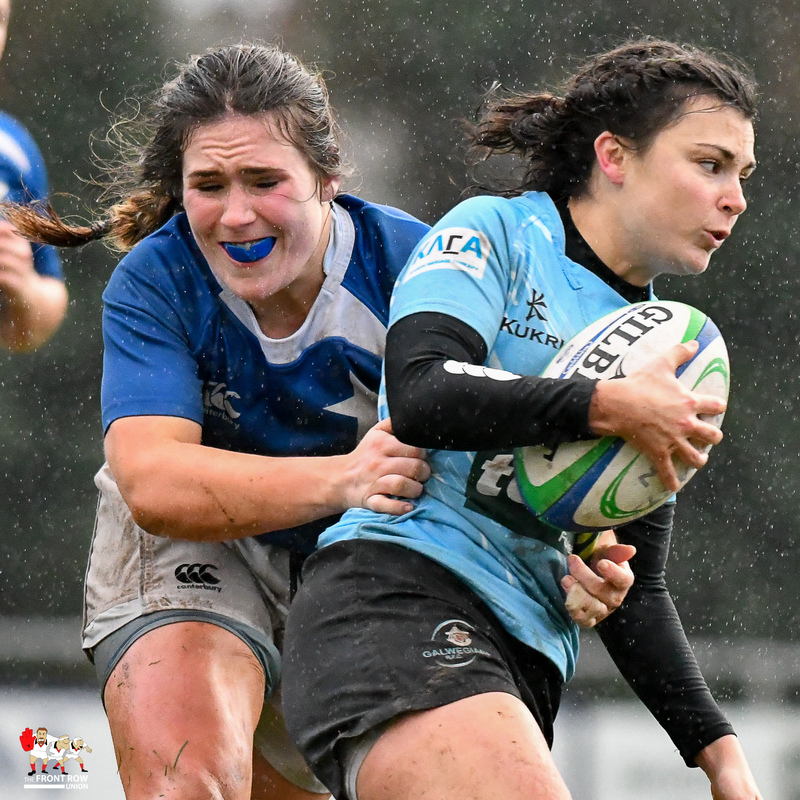 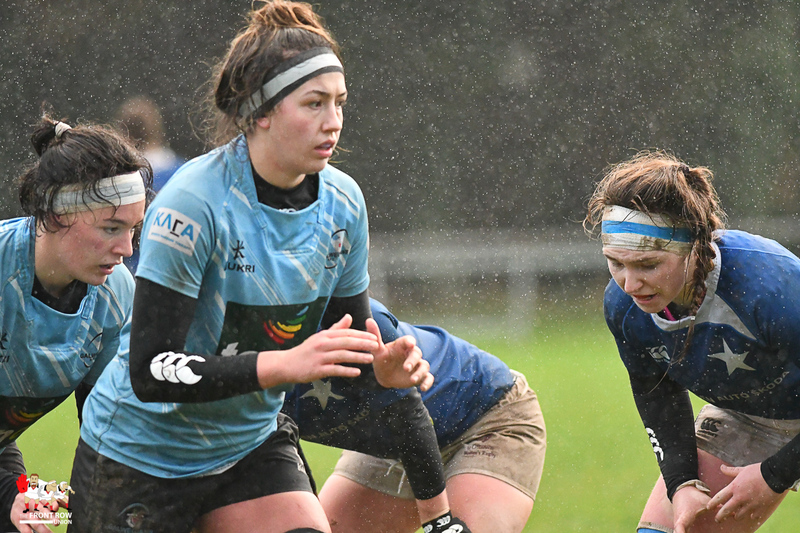 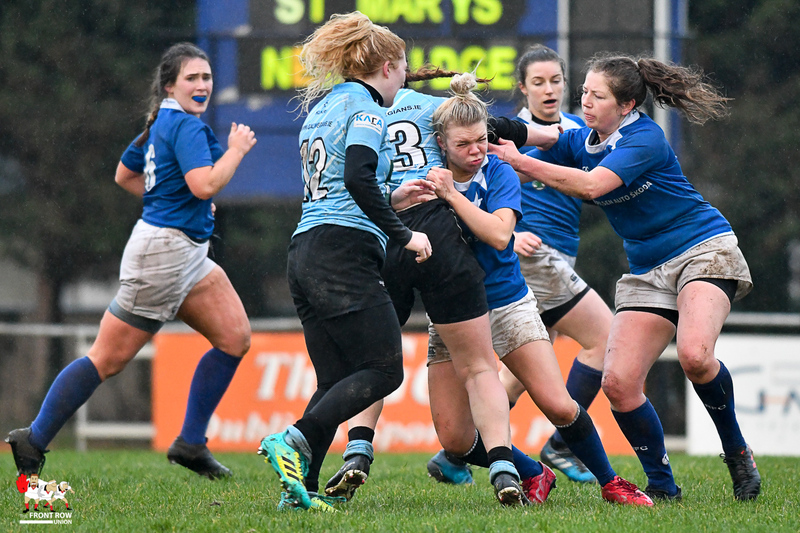 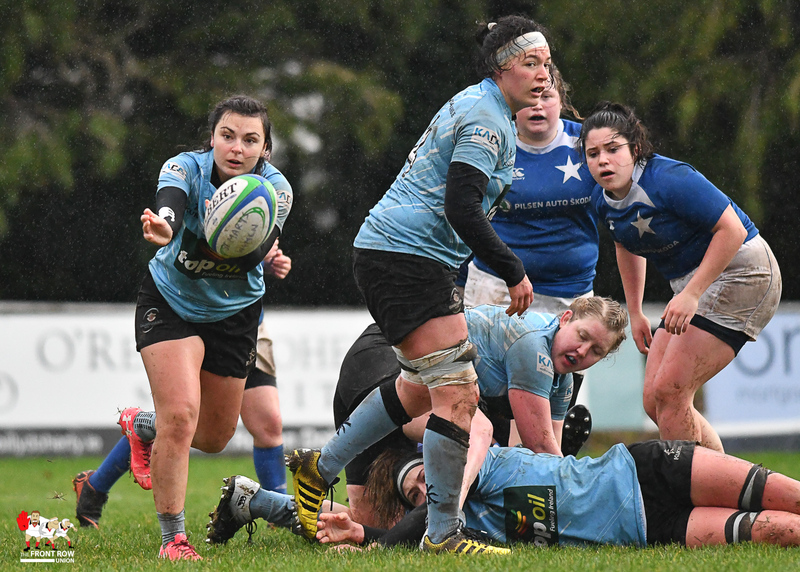 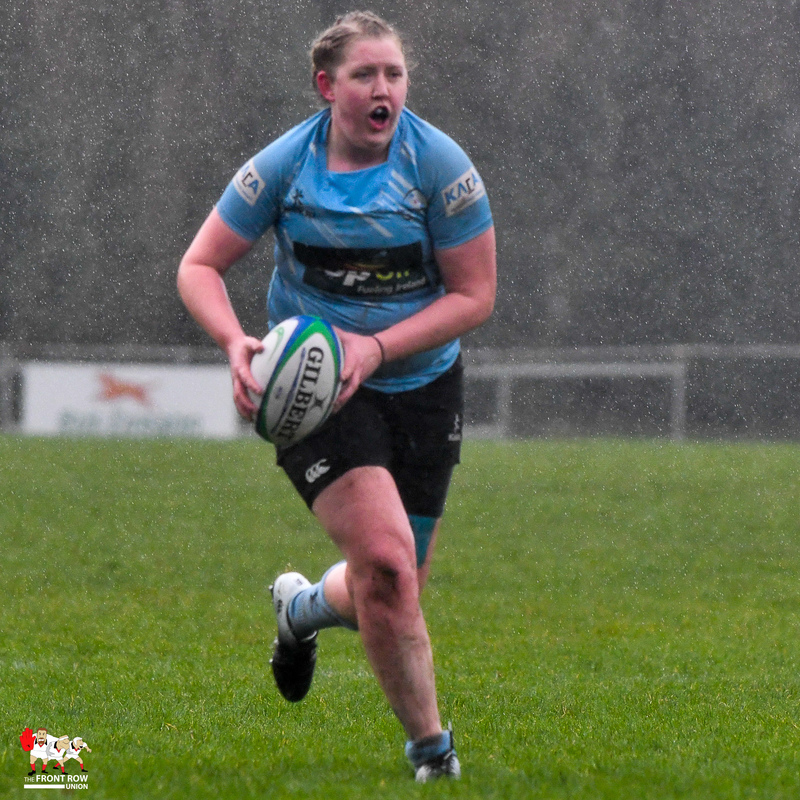 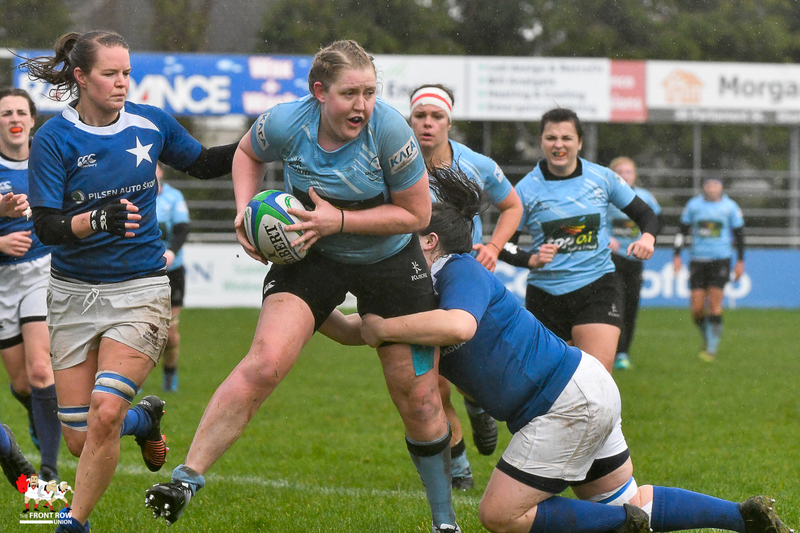 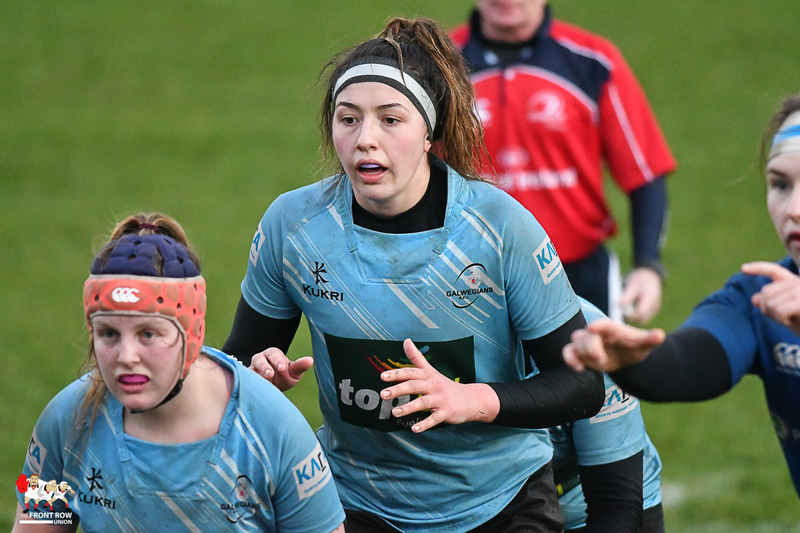 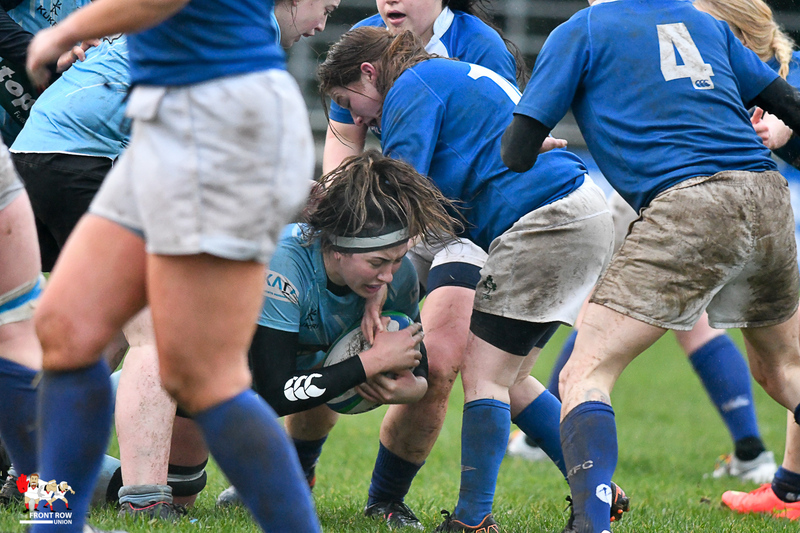 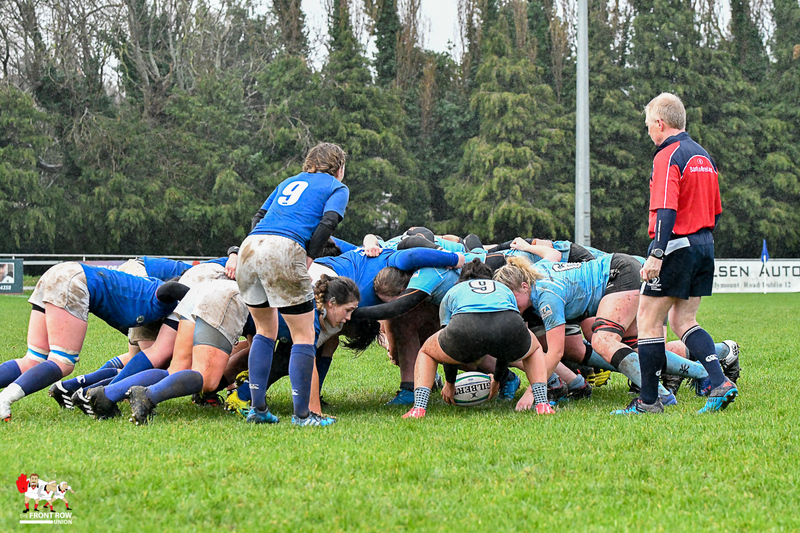 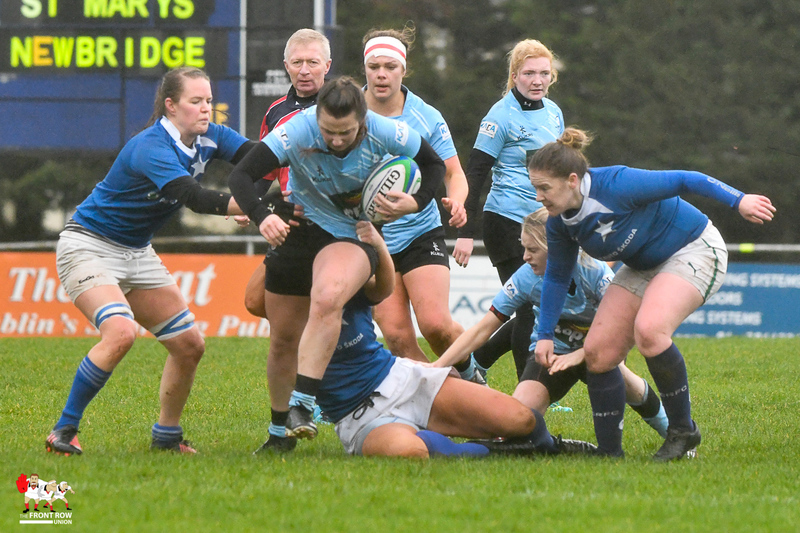 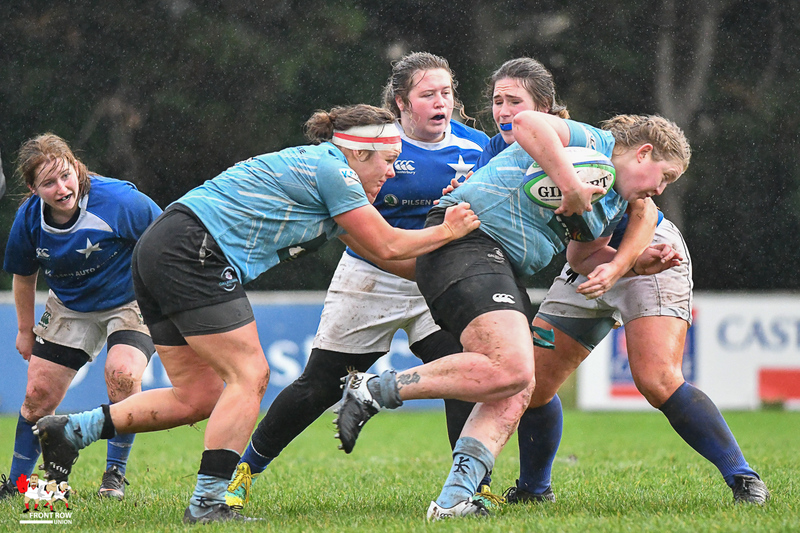 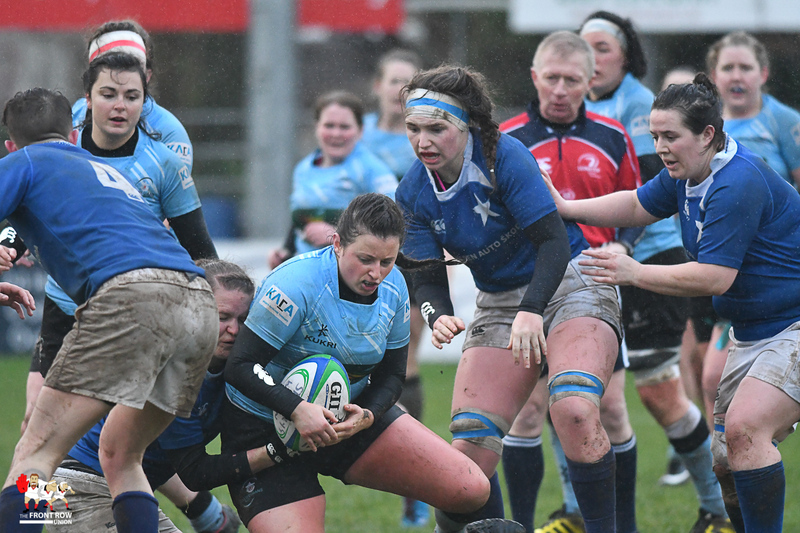 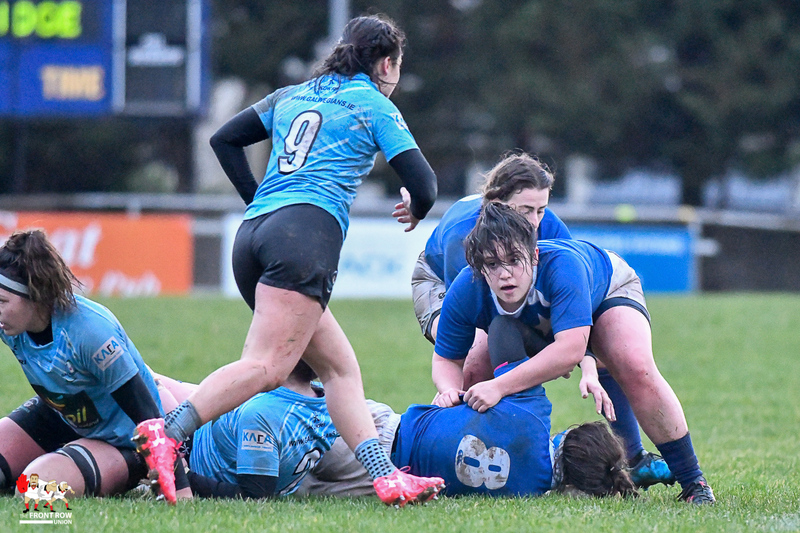 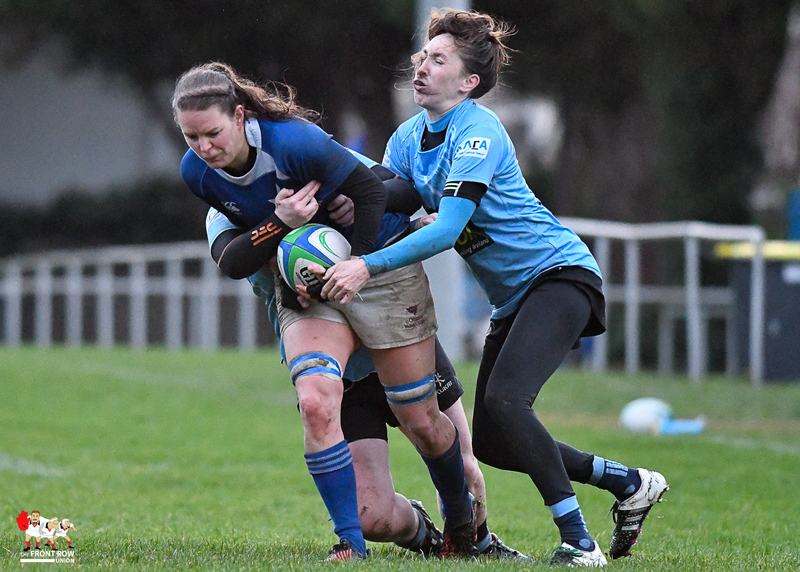 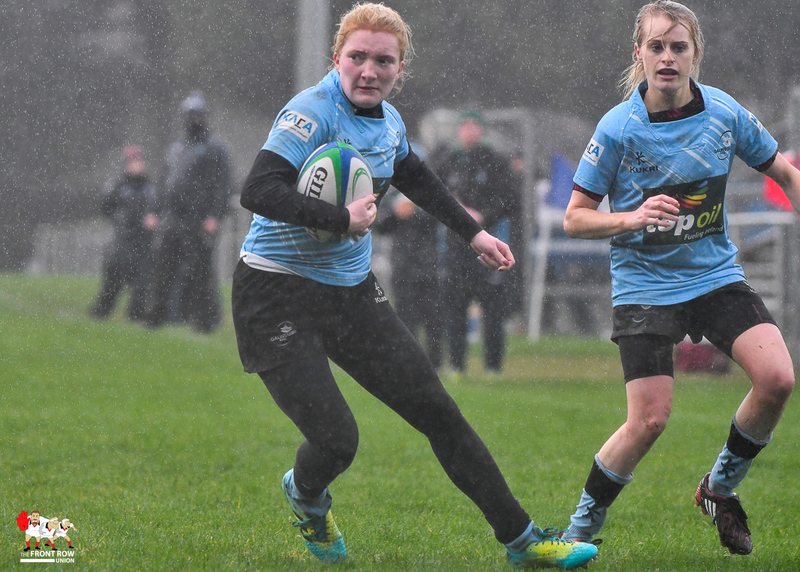 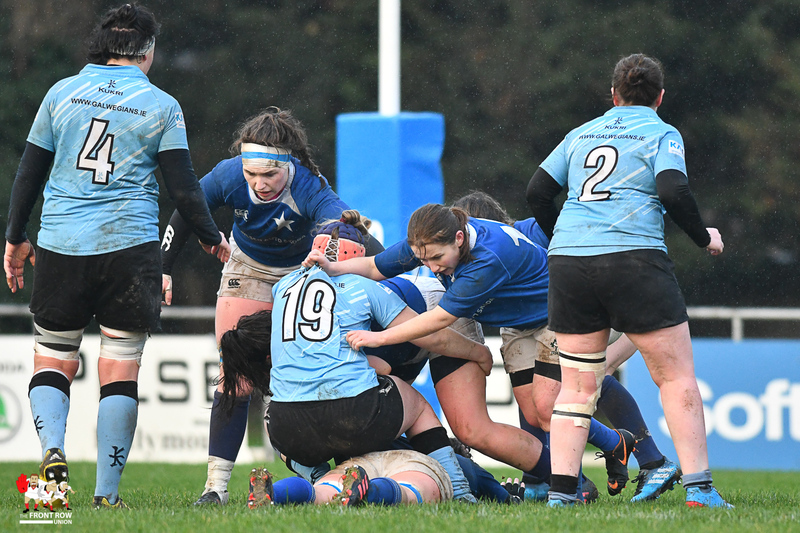 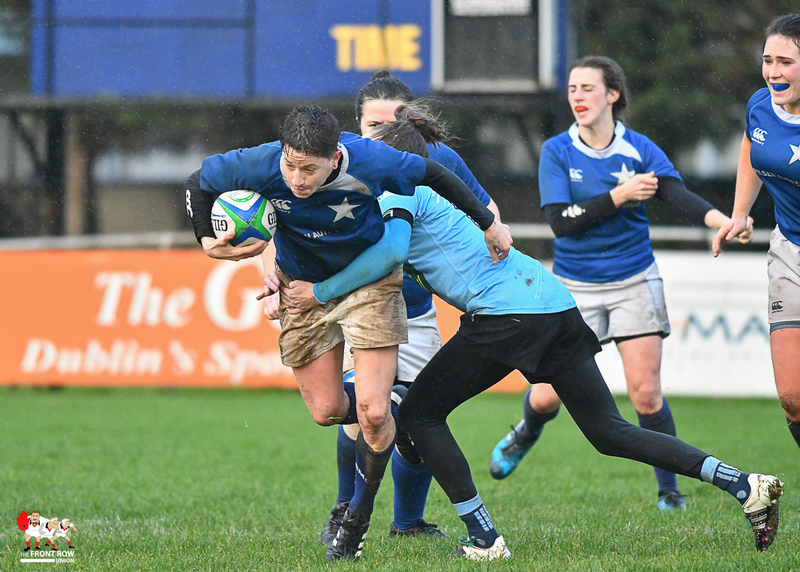 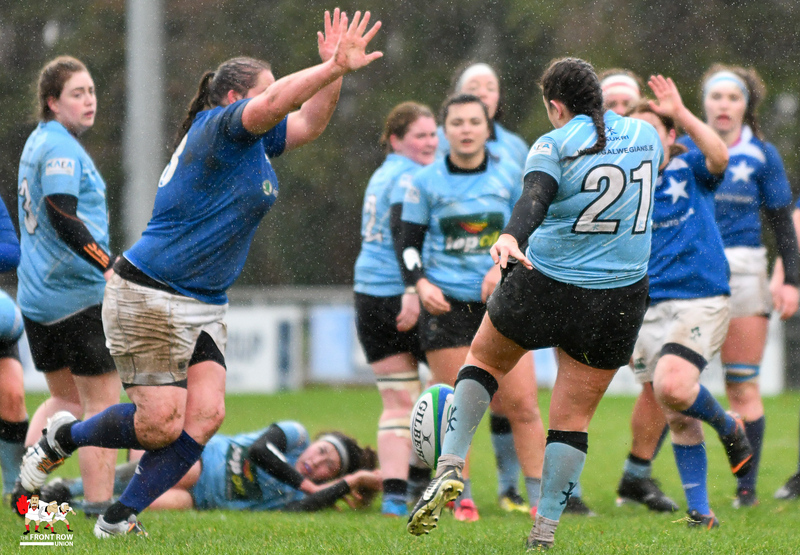 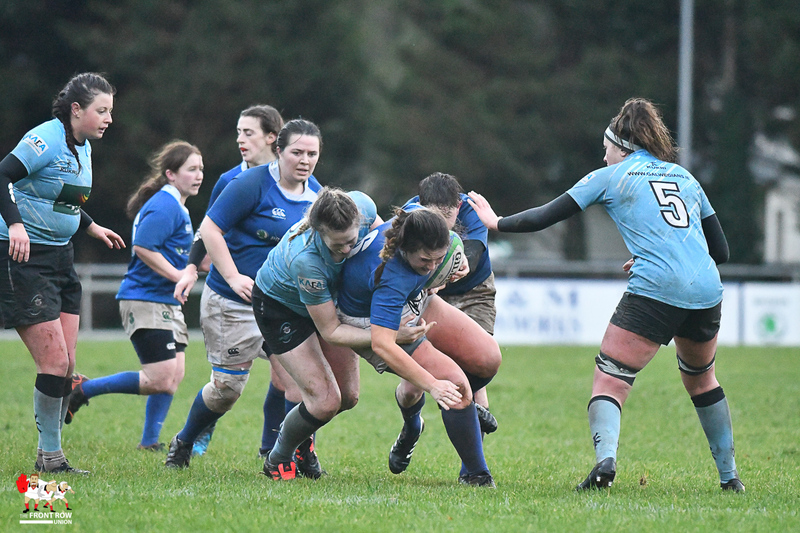 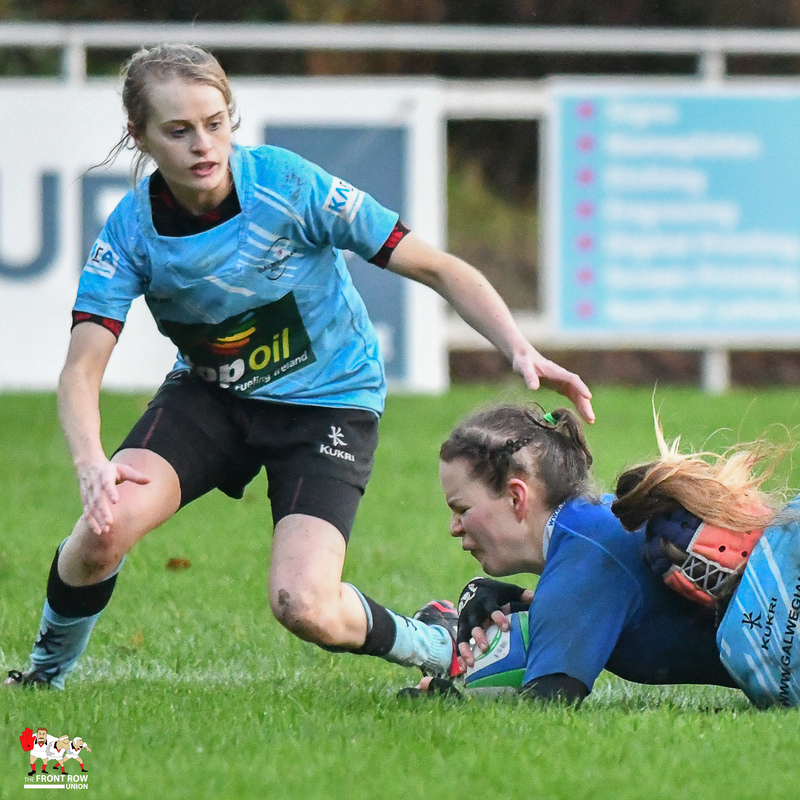 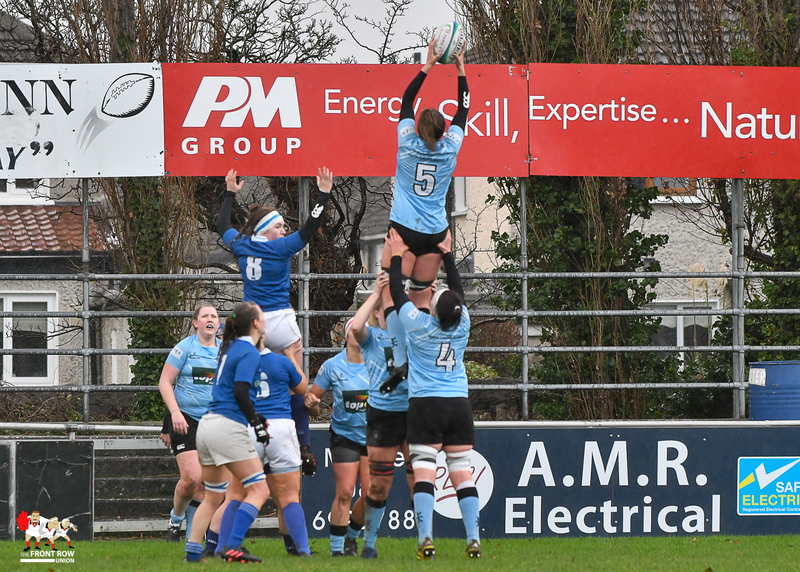 Round 9 of the Womens’ AIL saw Galwegians make the trip to Templeville Road to face St Mary’s and both teams face Storm Deirdre. 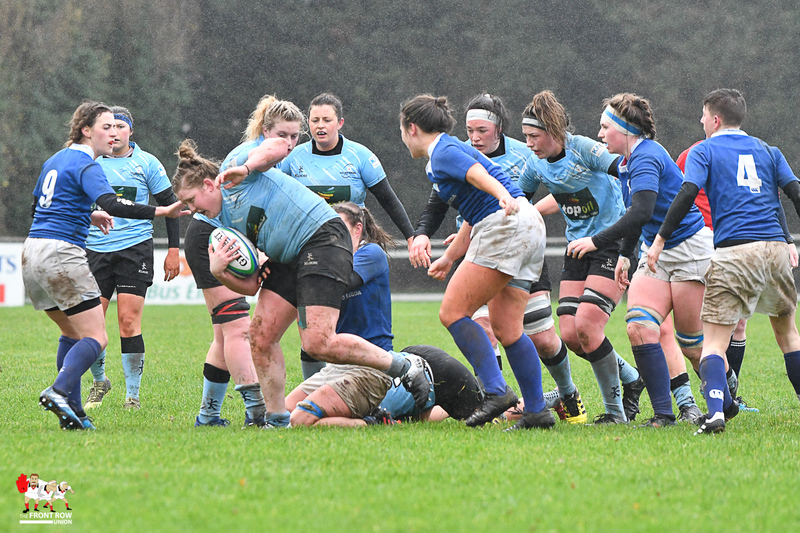 The early kickoff proved to be a good call as the already tough conditions mid-afternoon were preferable to what was to come later. 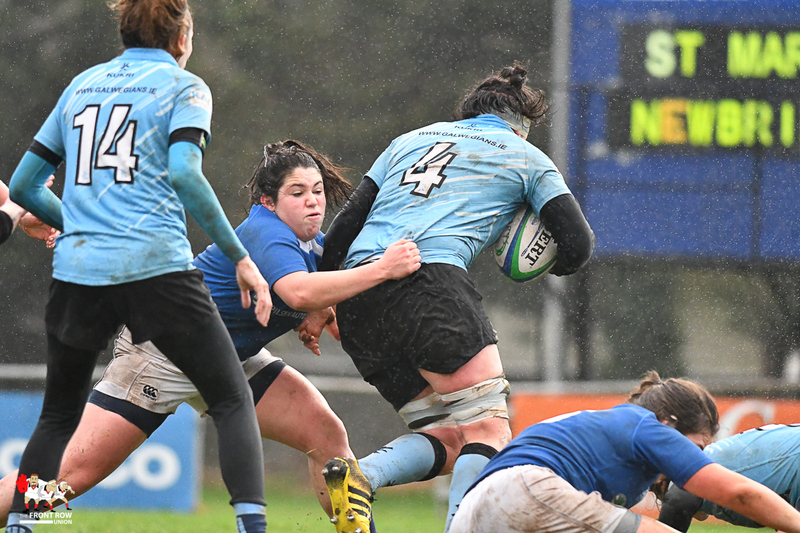 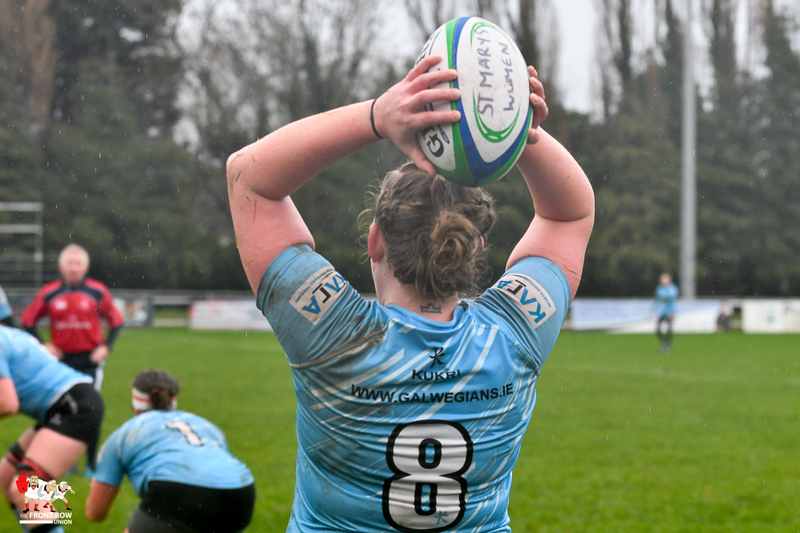 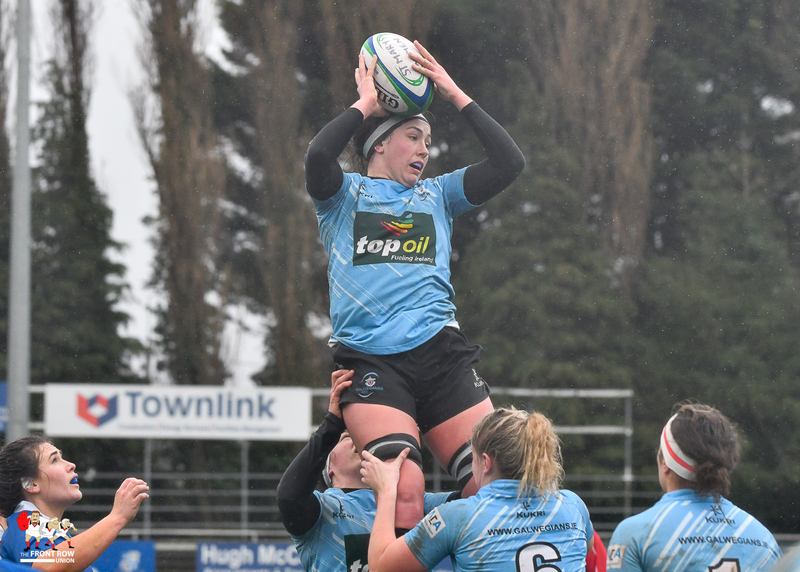 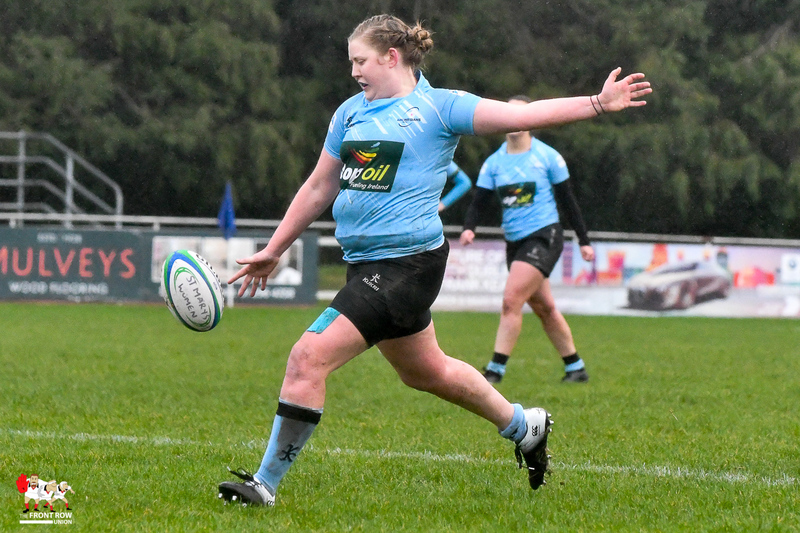 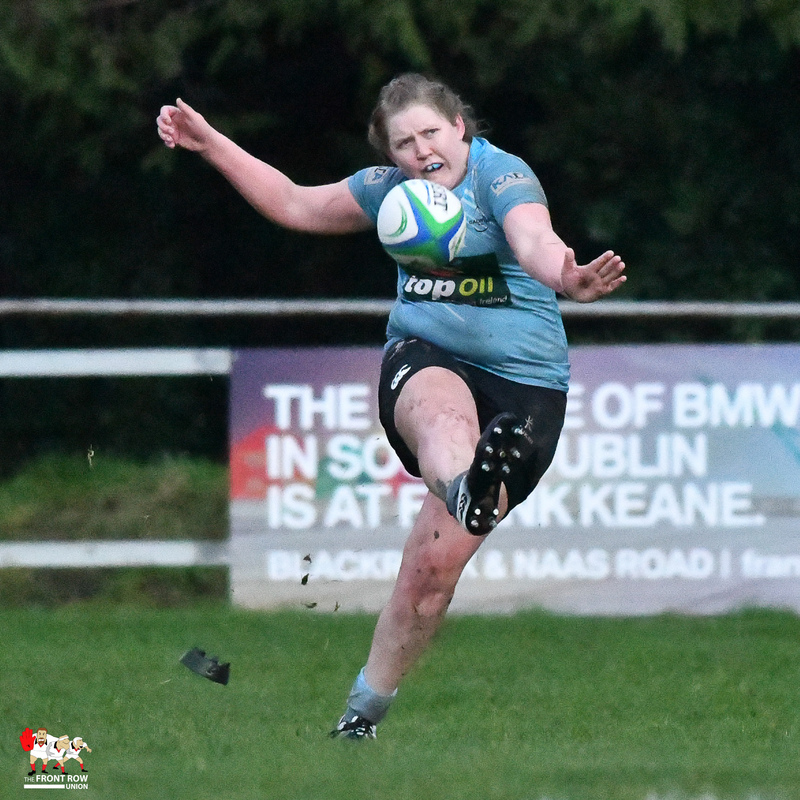 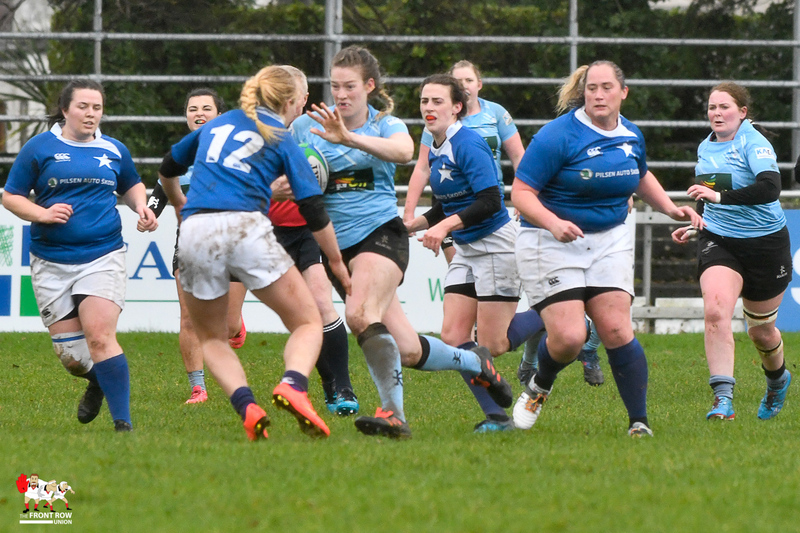 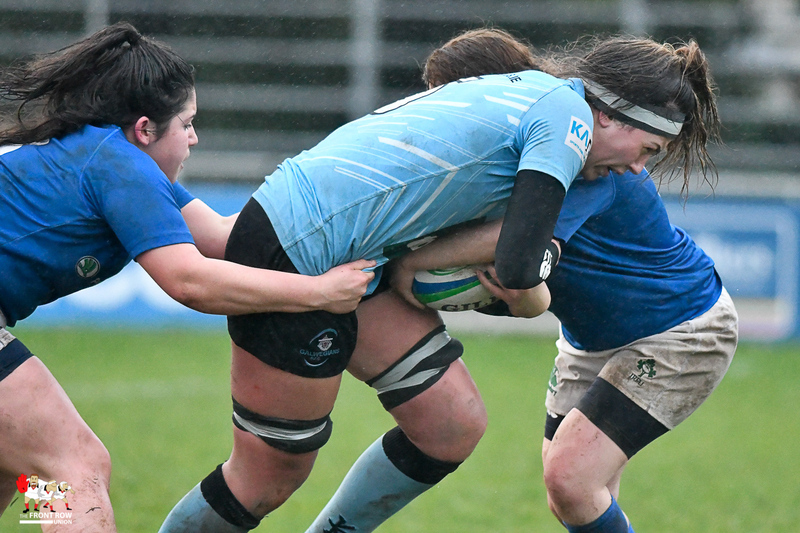 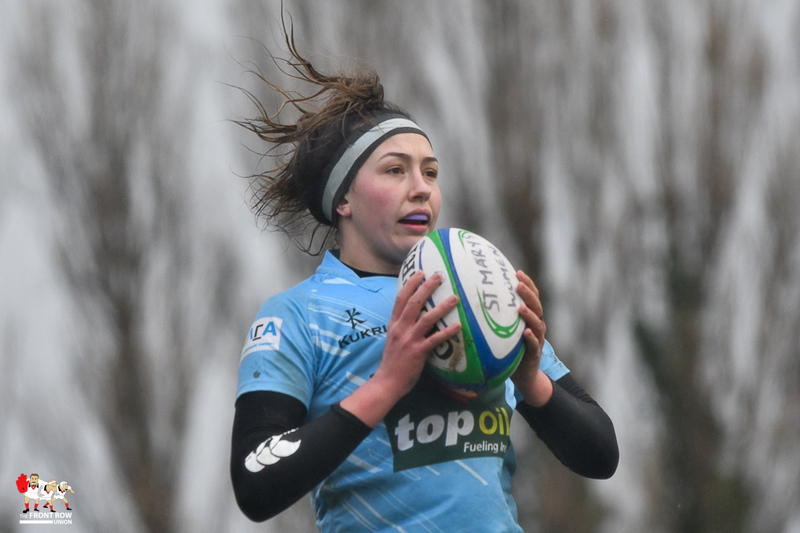 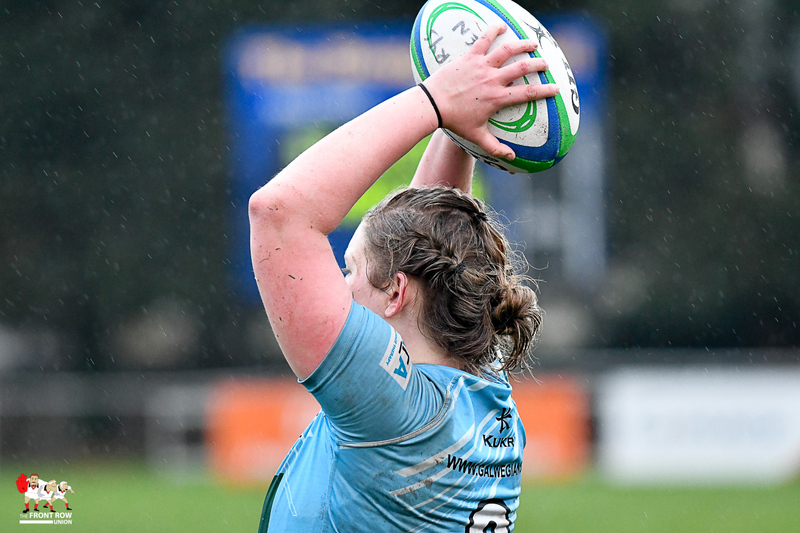 Galwegians had the bulk of territory and possession in the first quarter and Mary’s struggled in the set piece, particularly on their own lineout. 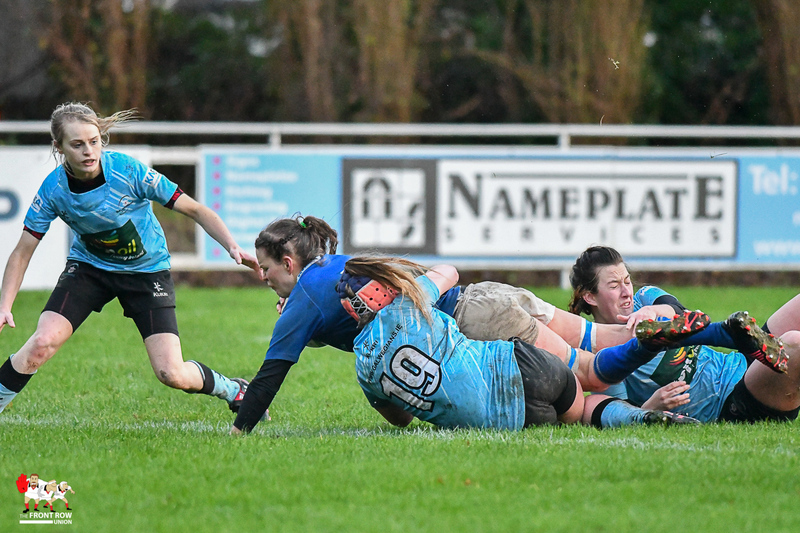 Denise Redmond powered over for the visitors on the 20-minute mark with the try going unconverted to leave it 0-5 for the Westerners. 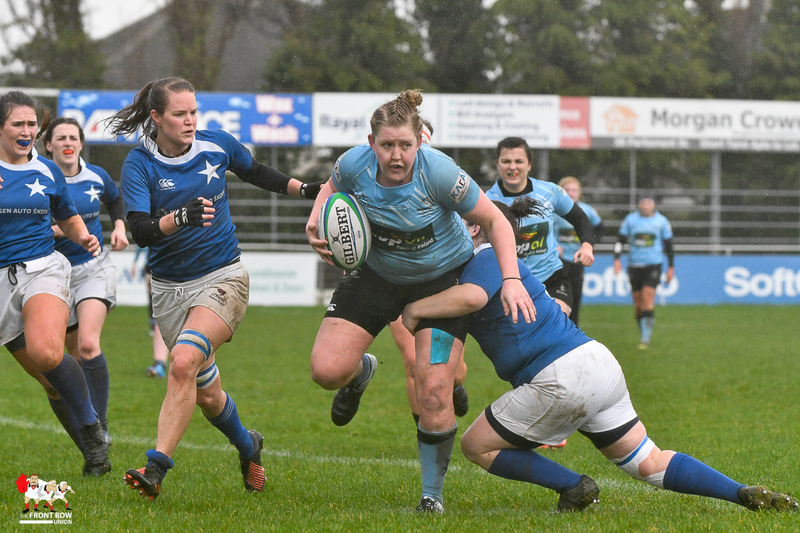 Mary’s stuck at it and pulled it back to 3-5 just before half time when Jet Duinmeijer did well to knock over a penalty into the teeth of the gale to make it 3-5 at the interval. 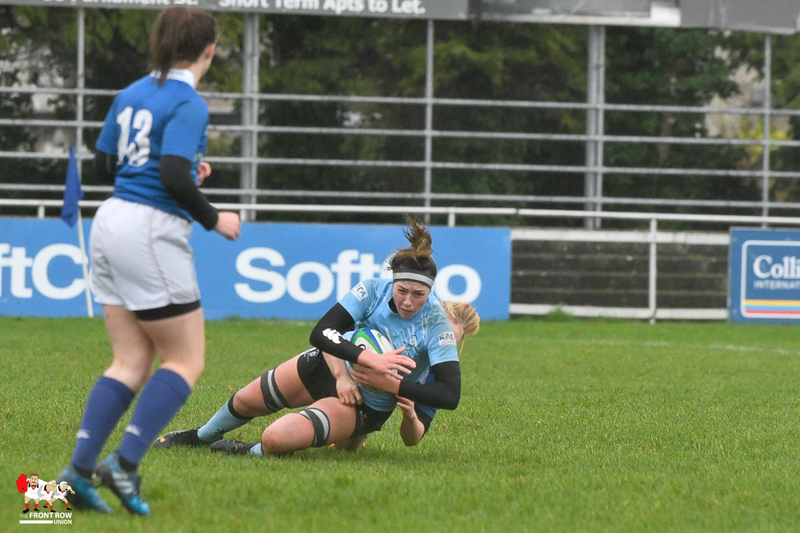 Galwegians pulled out to 5-17 with tries from Fiona Scally and Elizabeth McKeever, but Marys got one back through Heather Cary to make it 10-17 going into the last 15, Duinmeijer adding the extras. 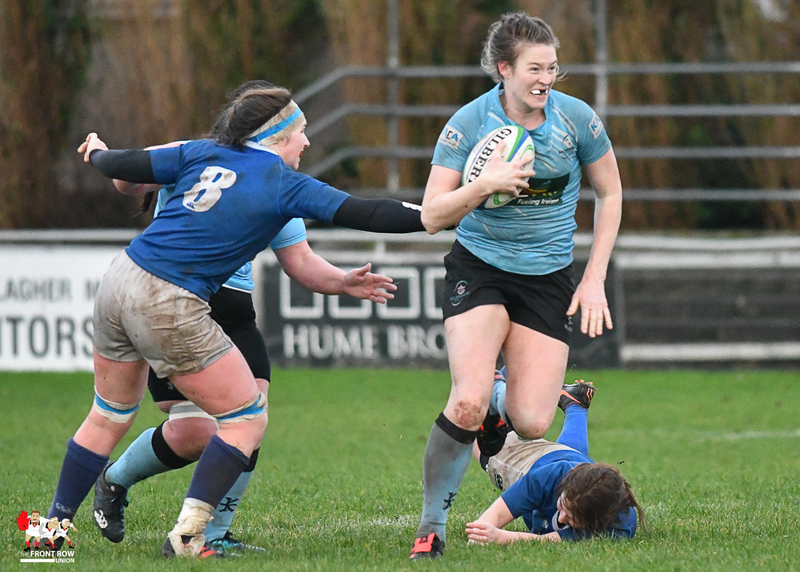 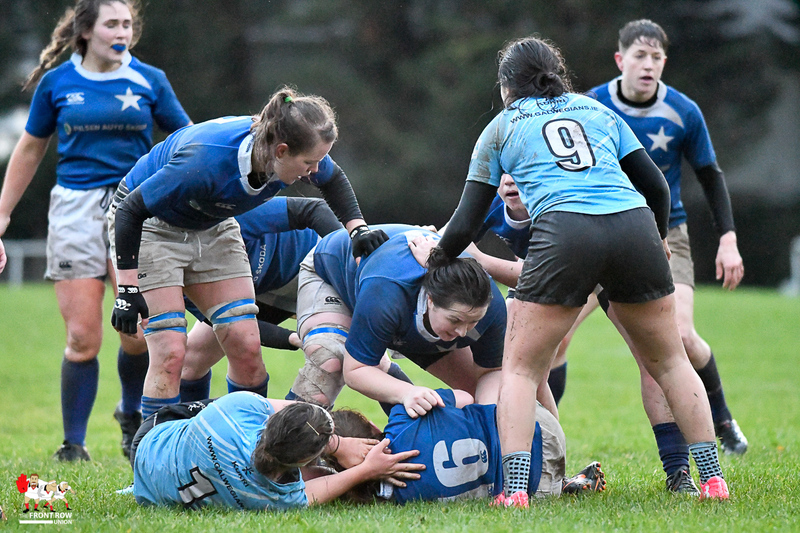 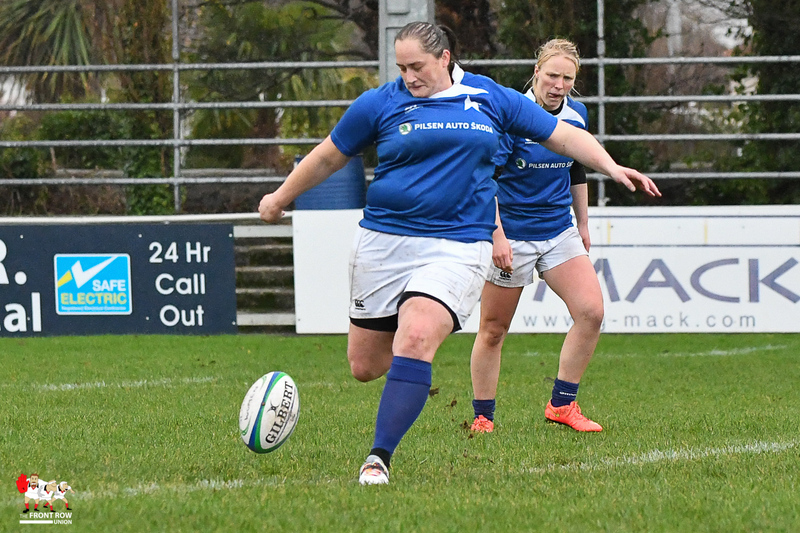 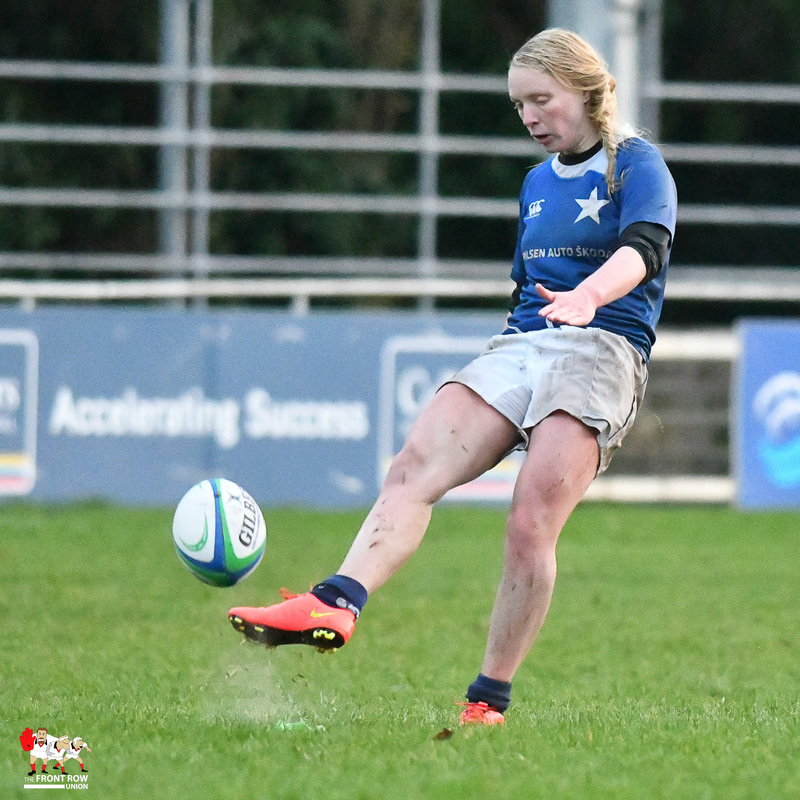 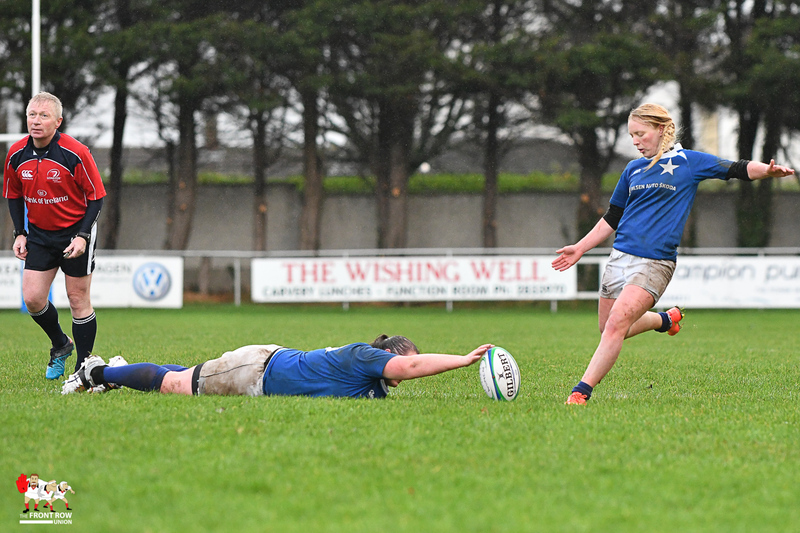 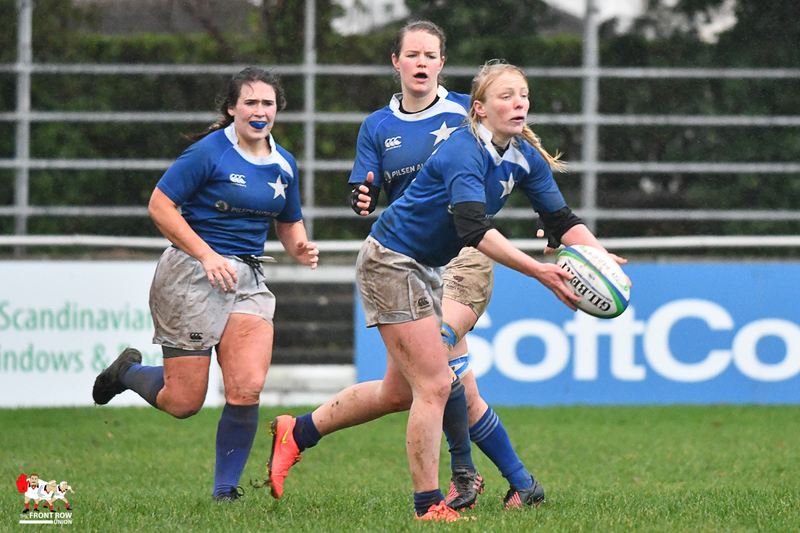 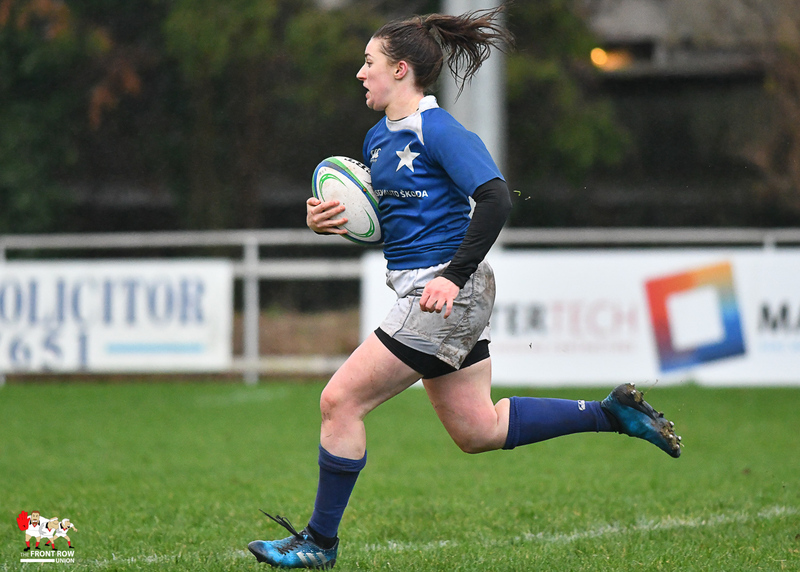 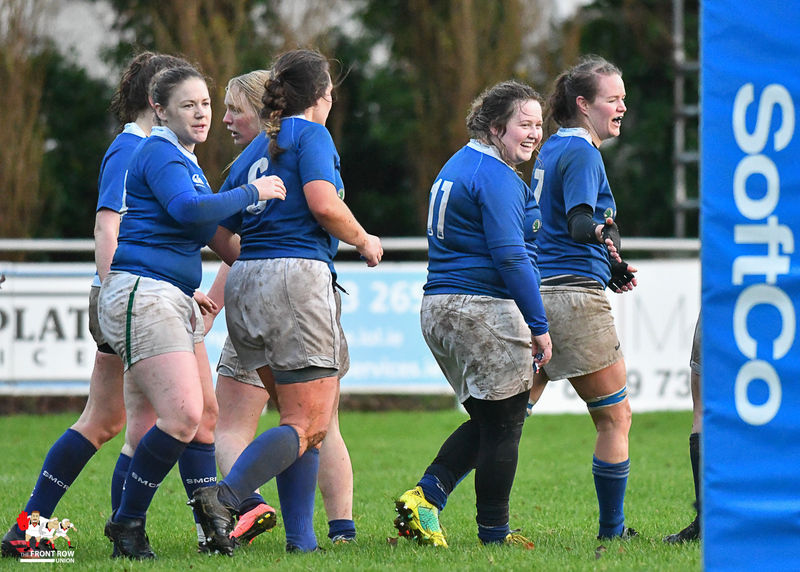 Marys were tiring by now and the visitors secured the try bonus point as Fiona Scally went over for her second to make it 10-22 at the final whistle.